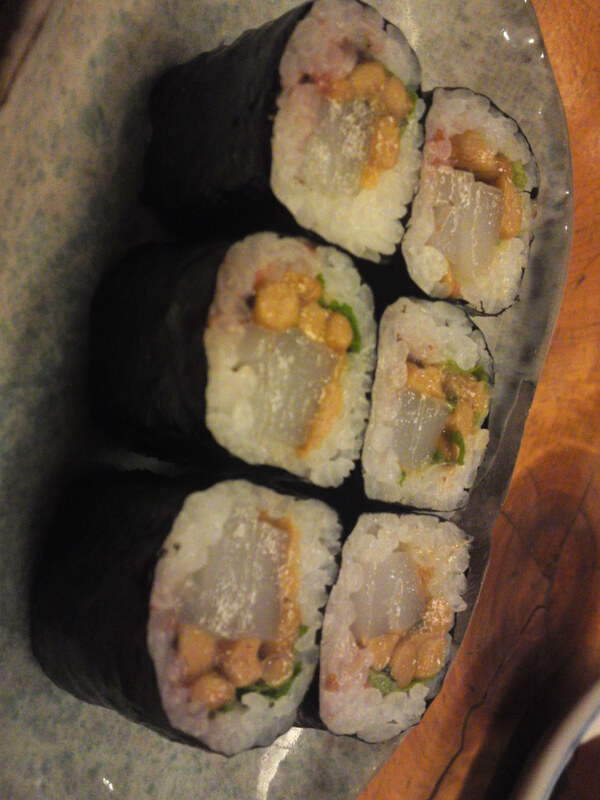 Sushi: Dinner at Sushi Ko (February 2nd, 2014)! 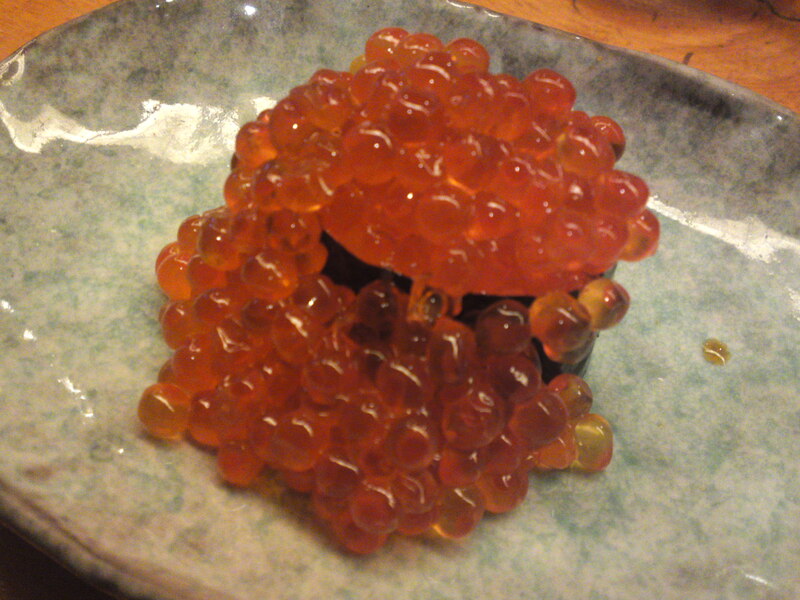 Extravagant Salmon roe sushi gunkan! 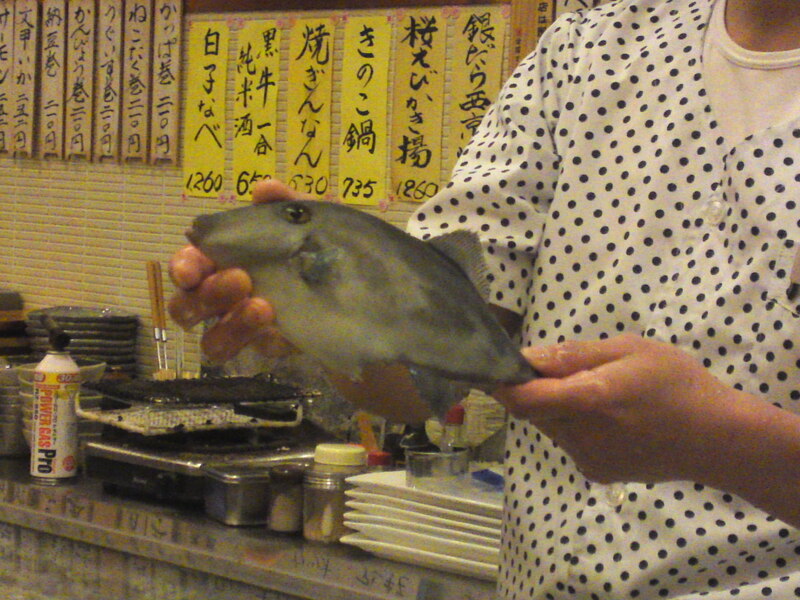 After the report on the two stars of the night here is the full report of our first dinner ofthe year at Sushi Ko Restaurant in Aoi Ku, Shizuoka City! 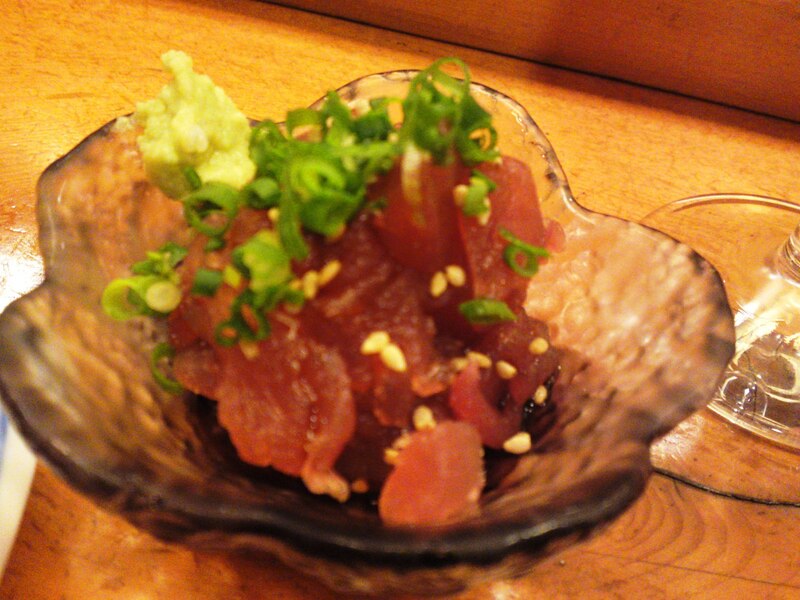 O-toshi/snack coming with the first drink was tuna sashimi (akami/lean part)! 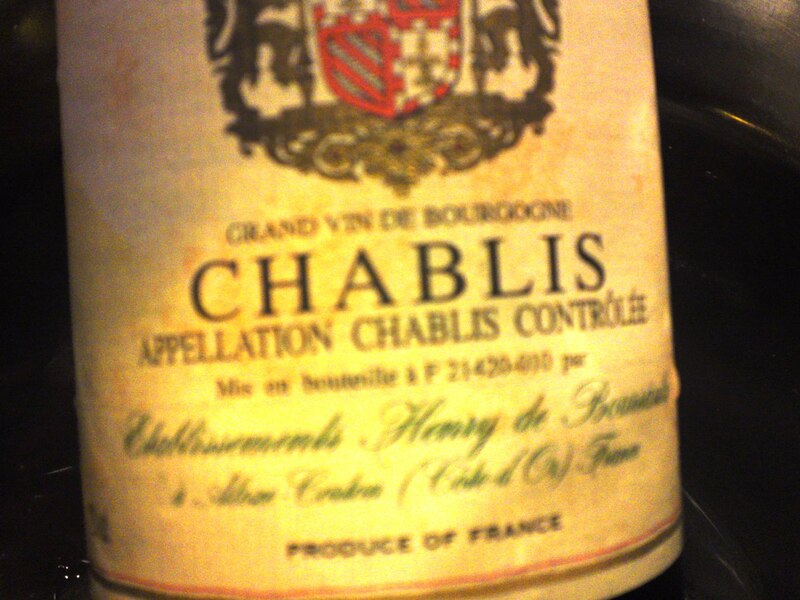 As for the first drinks we started with Chablis, a wink at my home country, Bourgogne! I did switch later to Sake while the Dragon took care of the wine! 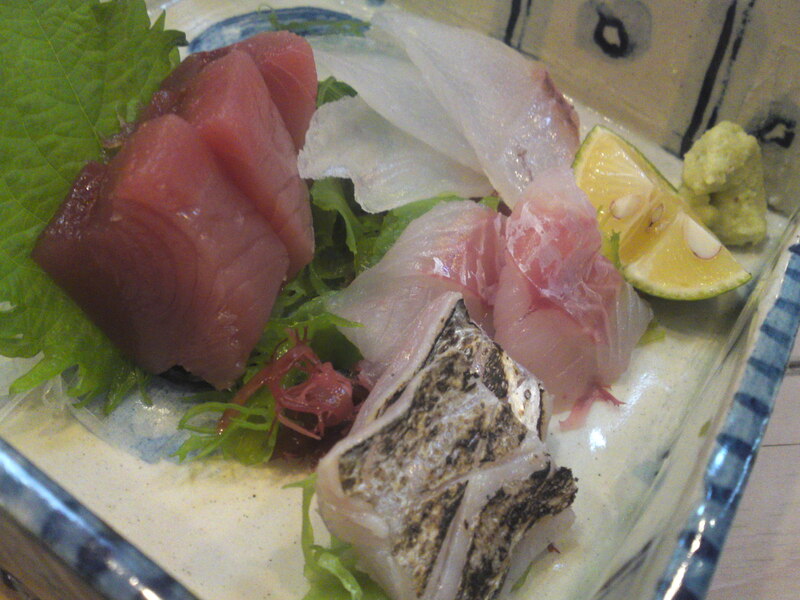 First, the sashimi plate with the recommended fish of the day: Akami/Tuna lean part, kinmedai/Spledid Alfonsino and Hirame/Sole-Grouper! 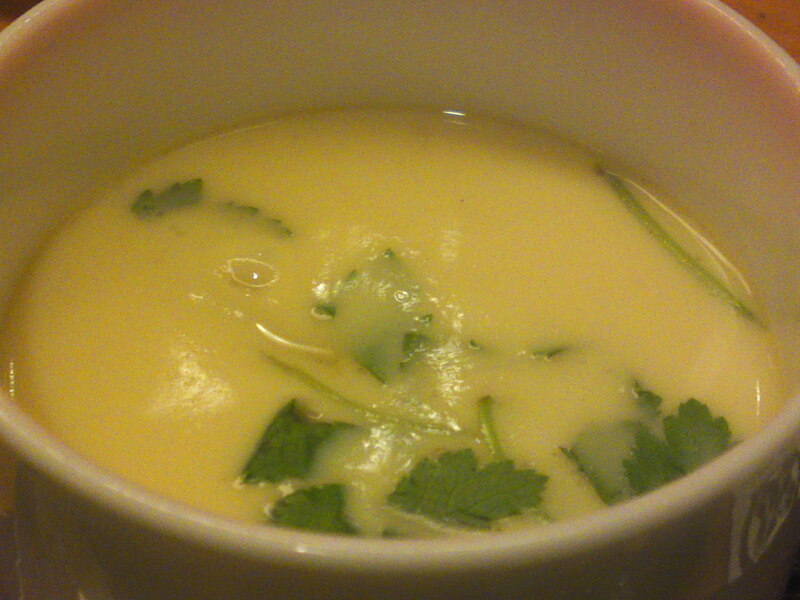 Sushi Ko is not all sushi and sashimi but also some succulent cooked dishes! 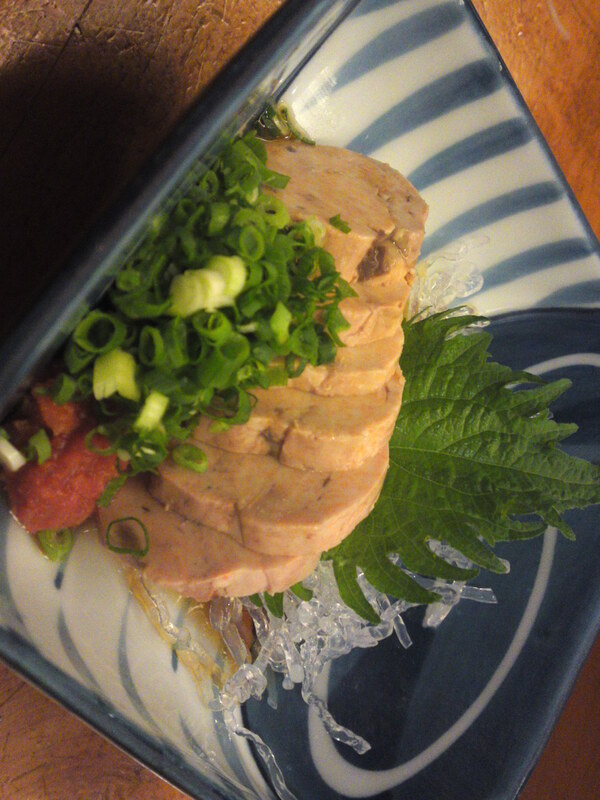 Ankimo/Japanese foie gras/Frogfish-Monkfish liver steamed in sake! 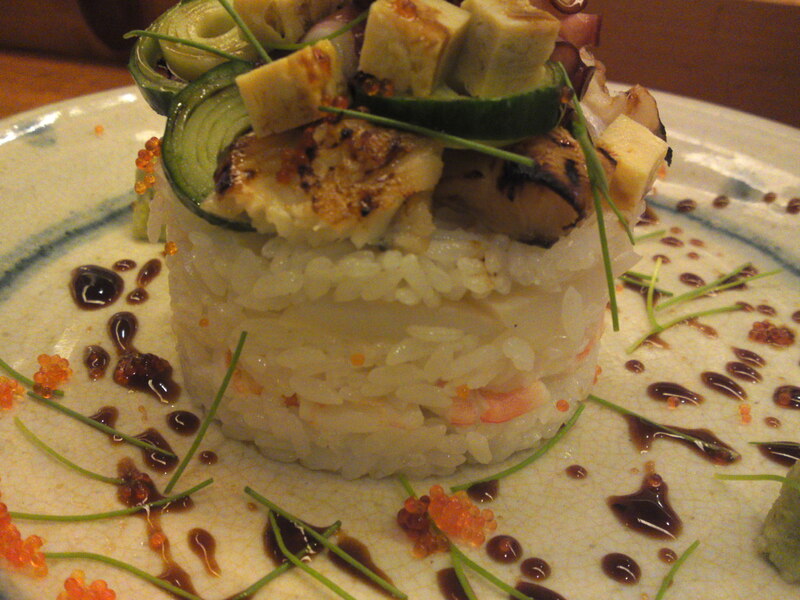 Sushi Ko’s specialty: Sushi Millefeuille! 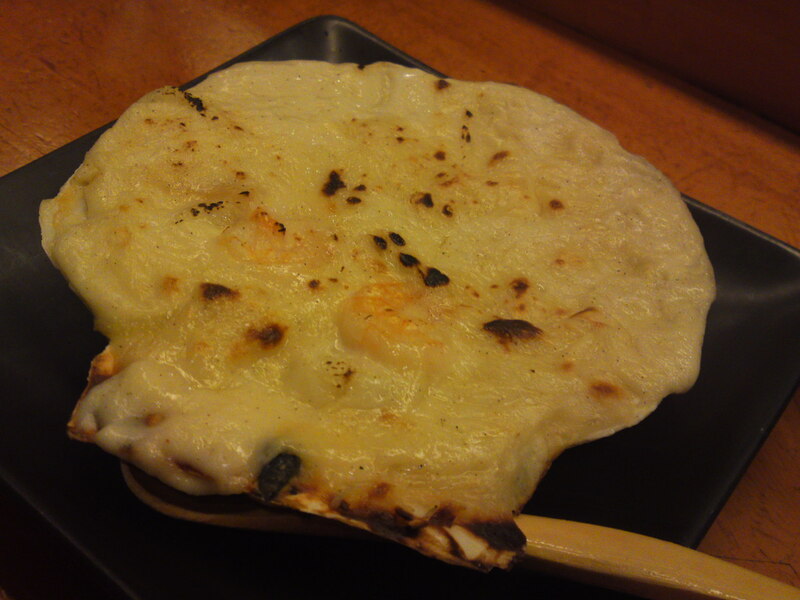 Japan meets France: Scallops Gratin! 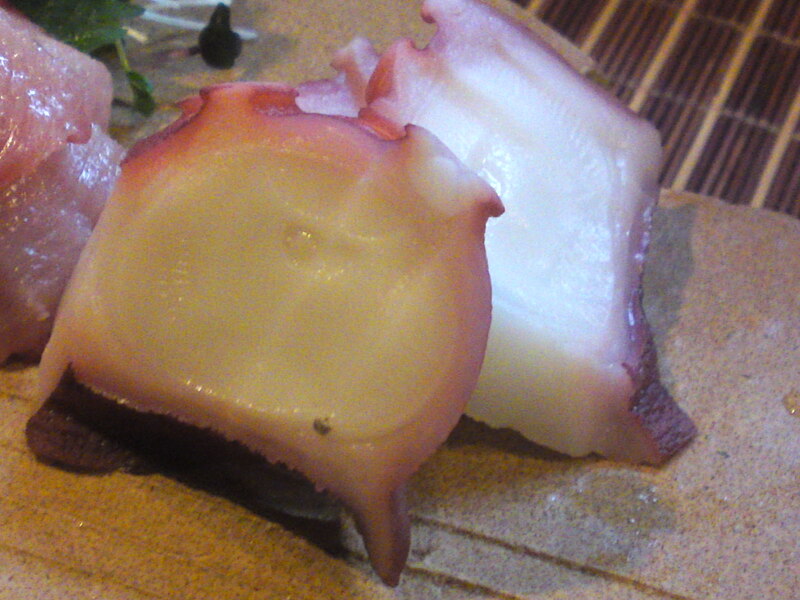 Ika shiokara/Pickled cuttle fish for the Dragon! A special roll not on the menu with shiso/perilla leaf, ume/pickled Japanese plum flesh, natto/fermented beans and ika/squid-cuttle fish! 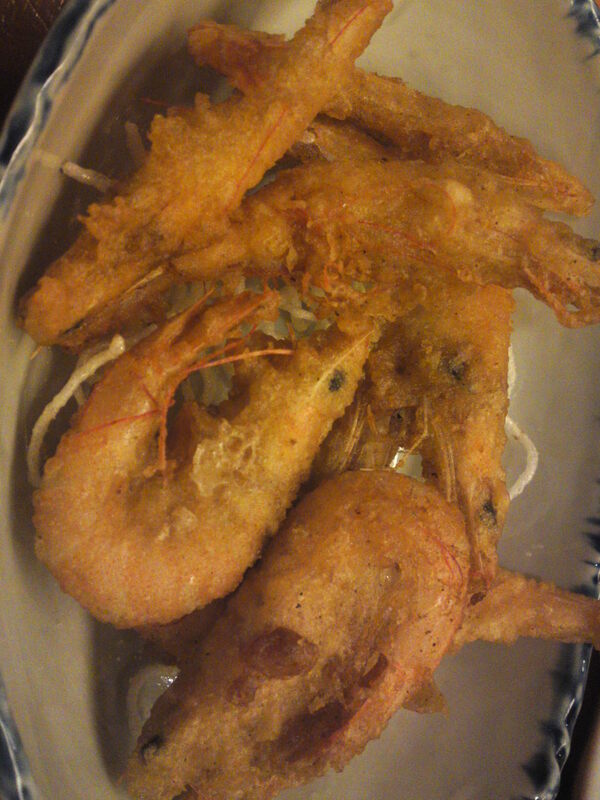 Deep-fried shiroebi/white shrimp eaten whole! 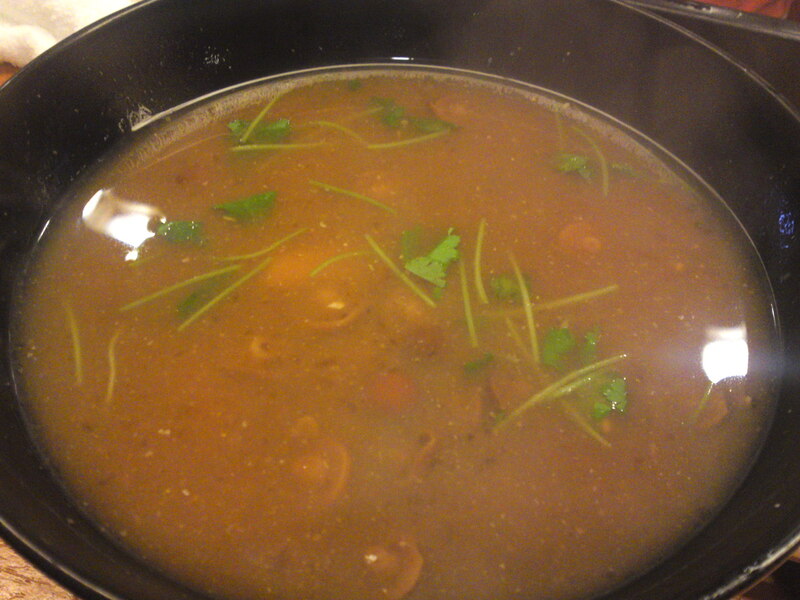 And plenty of nameko mushroom miso soup to wash it all down! 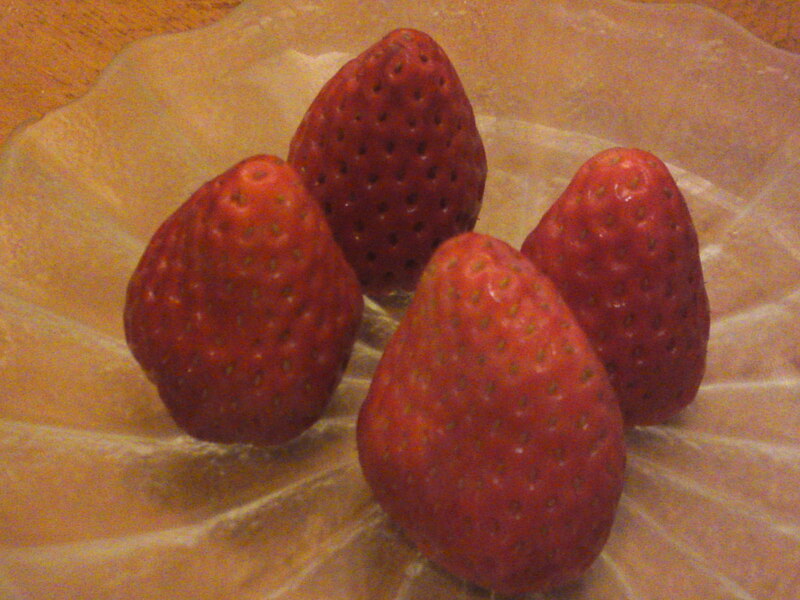 To the surprise of our neighbors (it is not on the menu!) we challenged Chef Kenta Birukawa/尾留川健太さん at Sushi Ko in Aoi Ku, Shizuoka City, to come up with a different/new millefeuille sushi! Chef Kenta Birukawa/尾留川健太さん obviously likes the challenge and as long as the place is not too busy he is more than willing to comply to such requests! Moreover he knows that photos will be taken and kept for posterity! 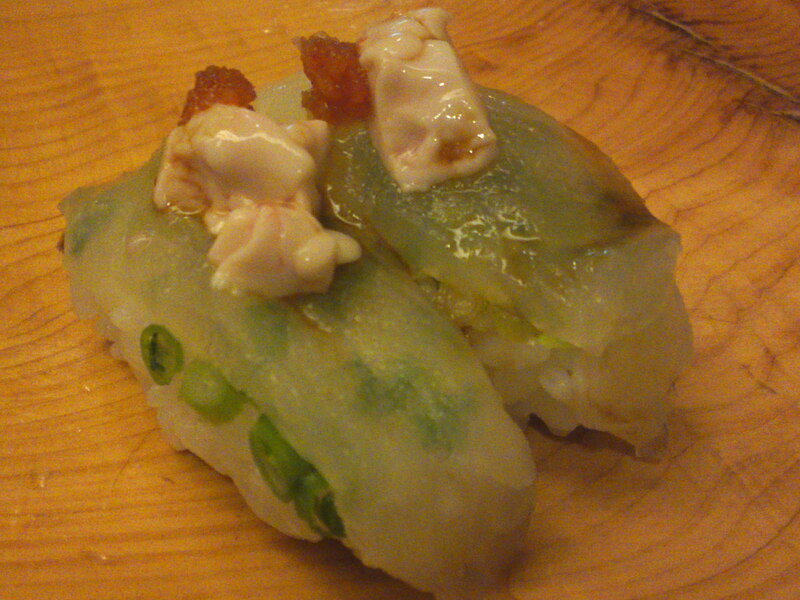 This time the ingredients placed between layers of sushi rice were pieces of raw ika/cuttle fish and boiled shrimps! 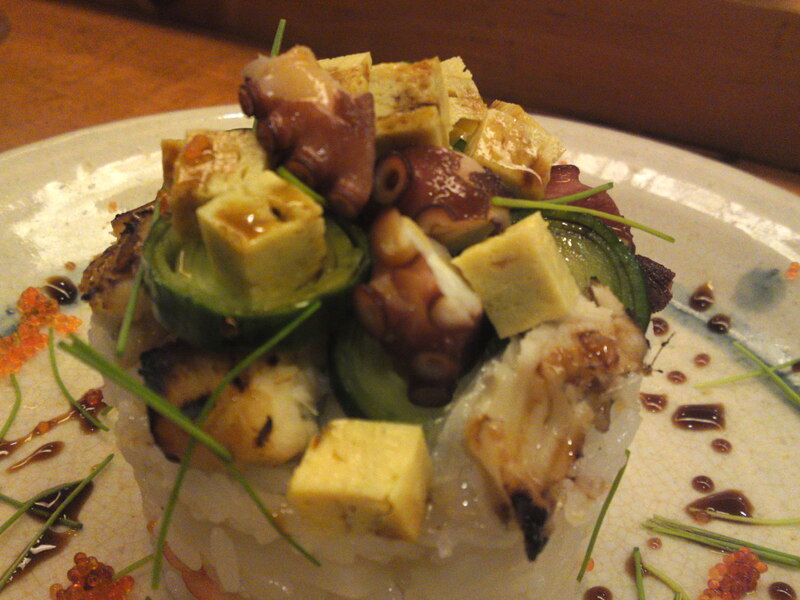 The toppings were pretty complicated as they included tamagoyaki/Japanese omelette, anago/conger eel, tako/octopus, leek rolls, menegi/leek sprouts and tobikko/flying fish roe! Not to mention the dressing artistically placed around the millefeuille! Mind you, I had my own revenge, destroying the whole succulent edifice! 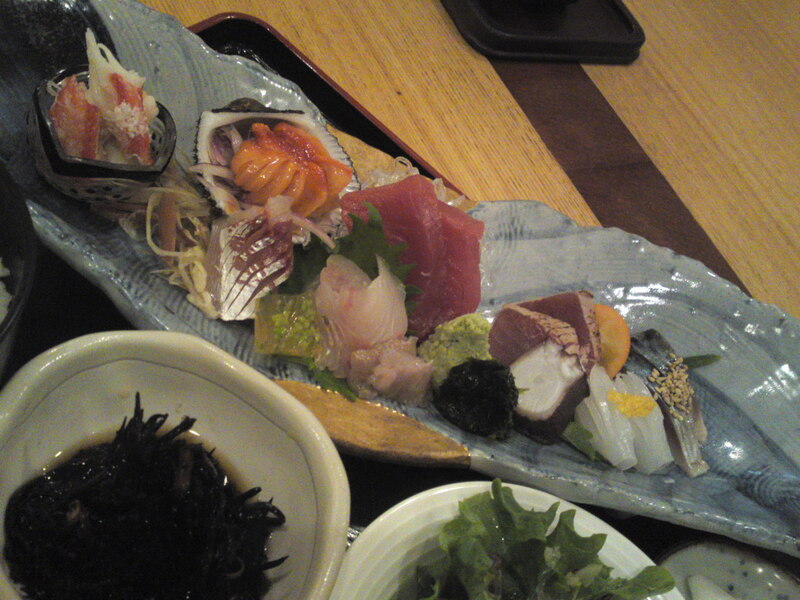 Sashimi Plate at Sushi Ko, Shizuoka City (February 2nd, 2014)! 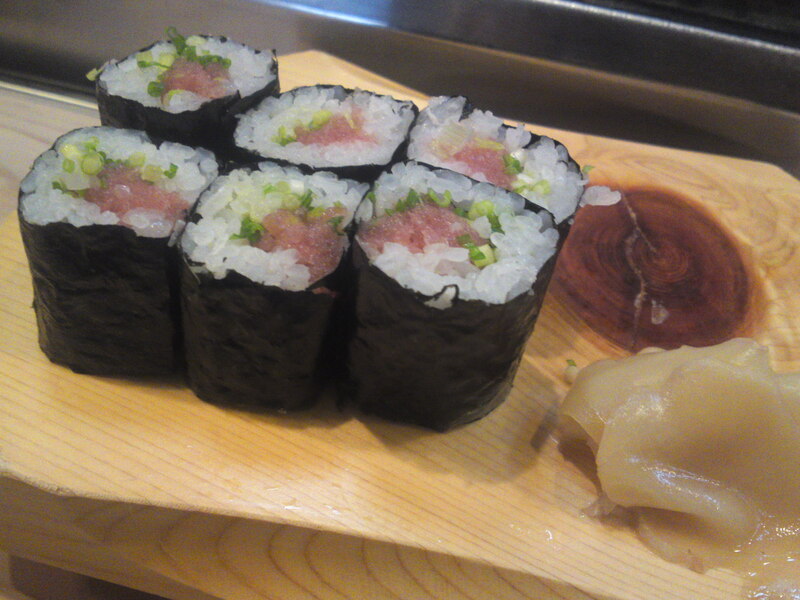 Last night saw our first visit of the year to our favorite sushi restaurant in Shizuoka City, namely Sushi Ko Bar Restaurant located in busy Aoba Park Street, Aoi Ku! 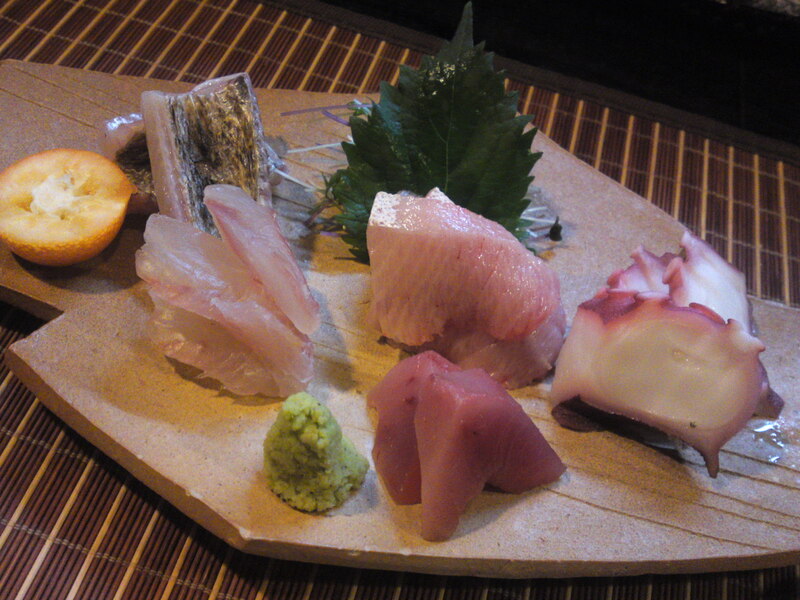 We always start such dinners with a selection of sashimi out of the day’s recommendations! So what did the plate consist of? 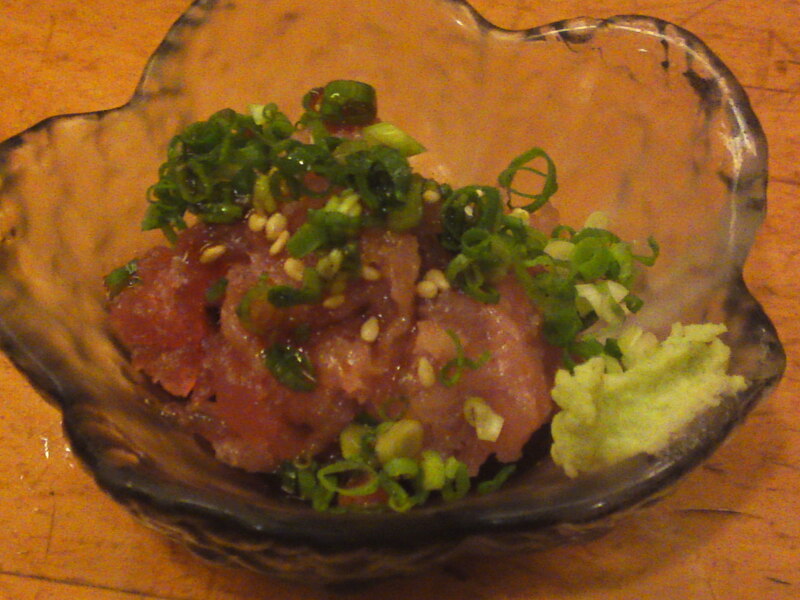 This tuna was not from Shizuoka Prefecture but still obtained at Yaizu City Fish market! 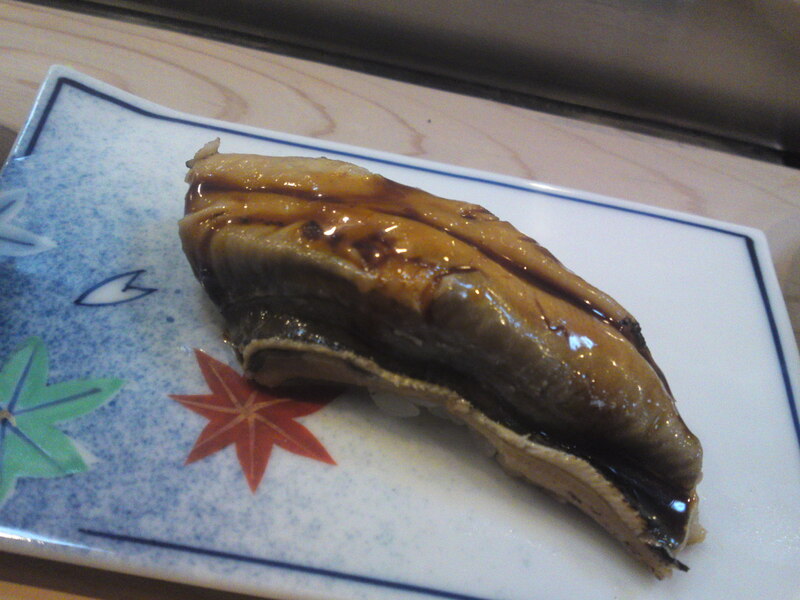 This is one of the most famous fish found in Shizuoka Prefecture people are ready to travel just to taste! 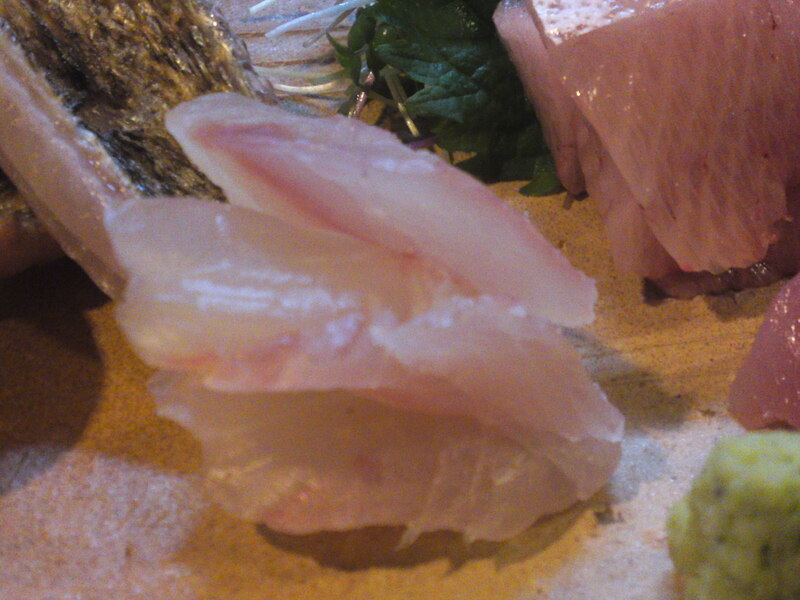 The skin being soft and tasty, the whole fish makes a superb presentation! 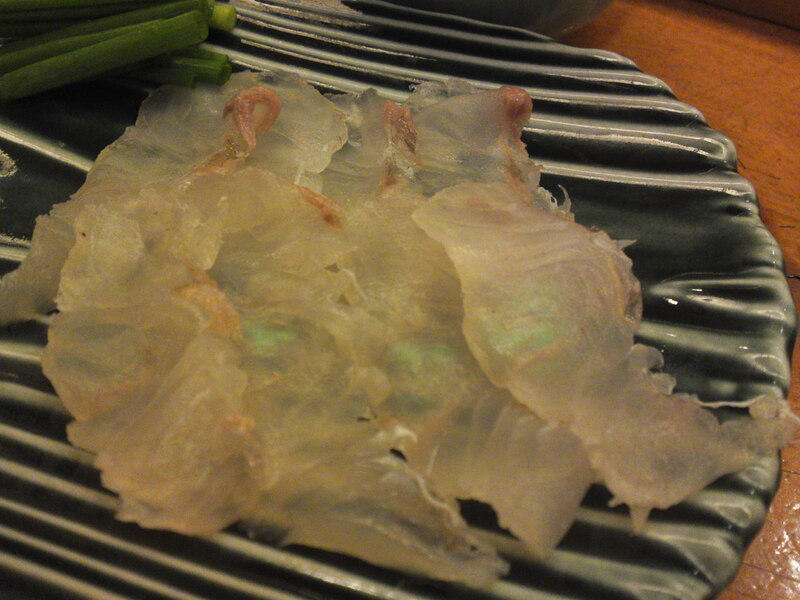 Hirame/sole or grouper, another fish caught in Shizuoka Prefecture! 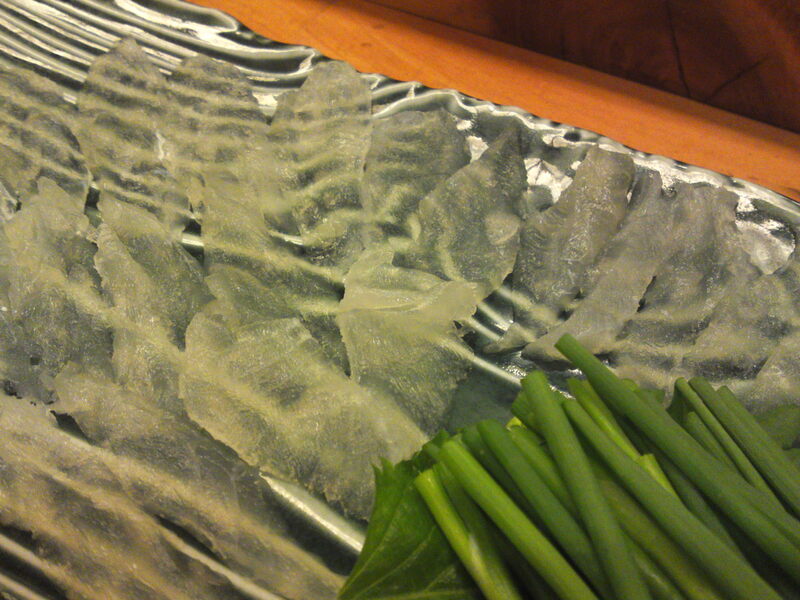 It was cut in very thin slices you can wrap around thin scallions before dipping it in a sauce based on vinegar and momiji oroshi, grated daikon with chili pepper! 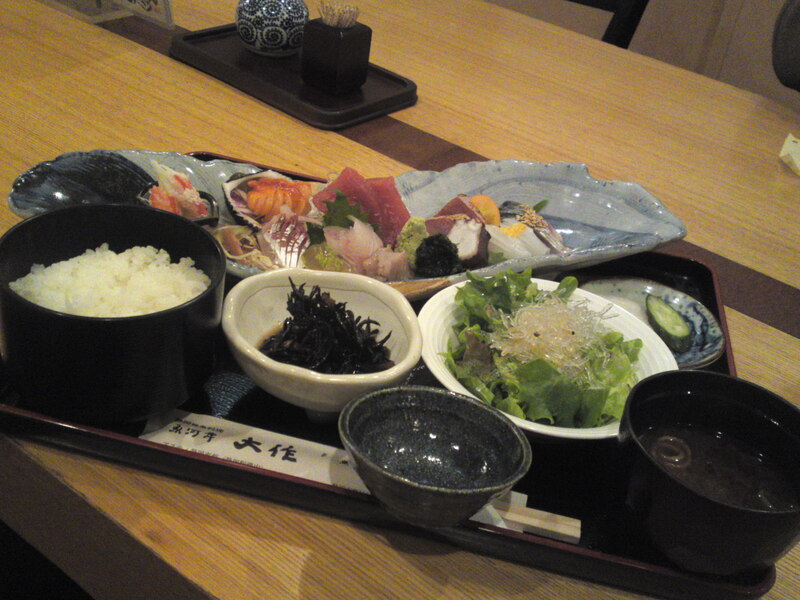 Sashimi Lunch Set at Totoya in Shizuoka City! Service: Friendly and attentivr. Easy-going. 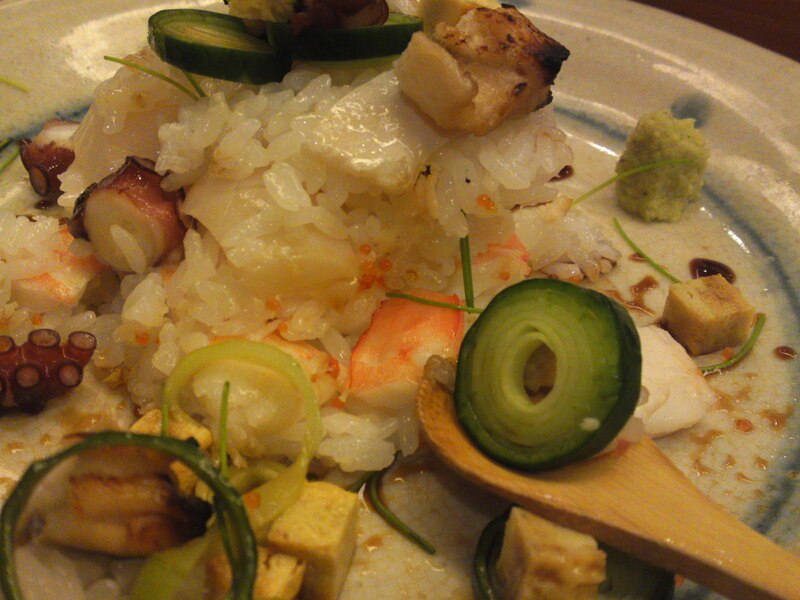 Strong points: Traditional Japanese gastronomy. Great local fish and seafood. 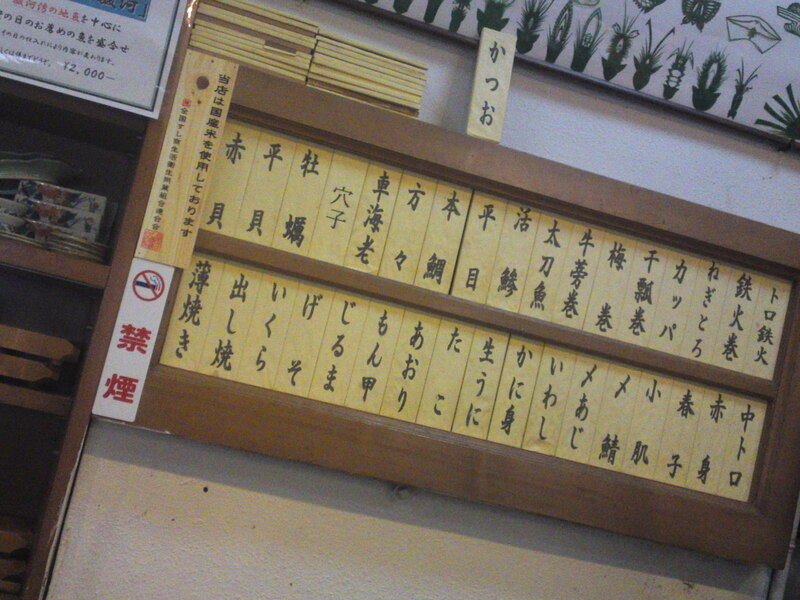 Excellent sake and shochu list. French spoken! I wanted to eat some fresh fish for lunch for once today and I’m lucky to have a very good Japanese restaurant near work that serves excellent Japanese lunch sets for all budgets! They are famous all over the city for their fish, particularly tuna! This is the lunch I ordered. Although it was bigger than most of my neighbors’ lunches it is very reasonable at 20 US $ or 15 Euros! Now, what did it include? 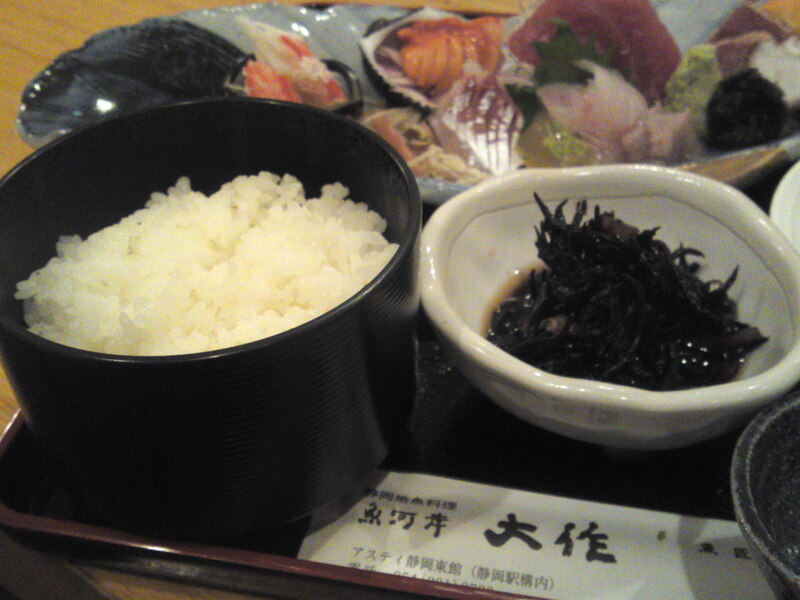 Steamed rice and plenty of cold simmered hijiki seaweed! 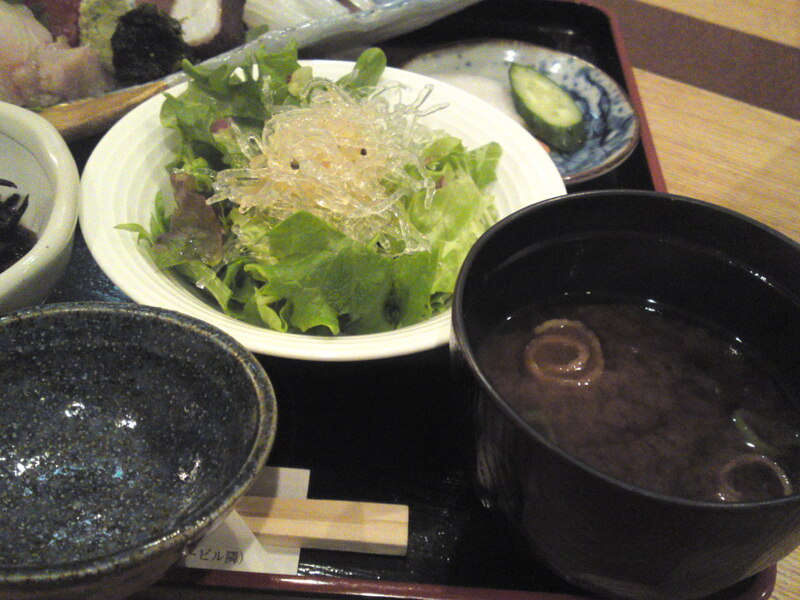 Vegetables and seaweed salad, miso soup and Japanese pickles! 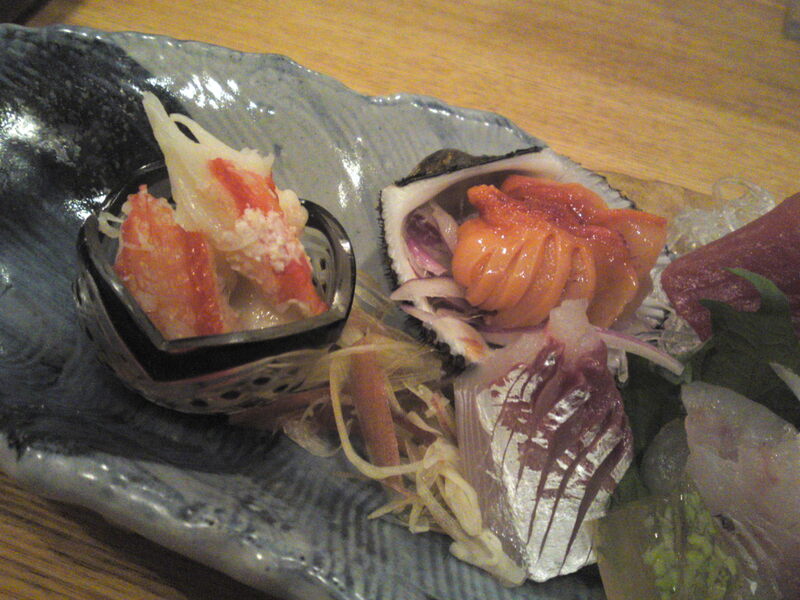 Crab in rice vinegar, akagai/blood shellfish, aji/horse mackerel! 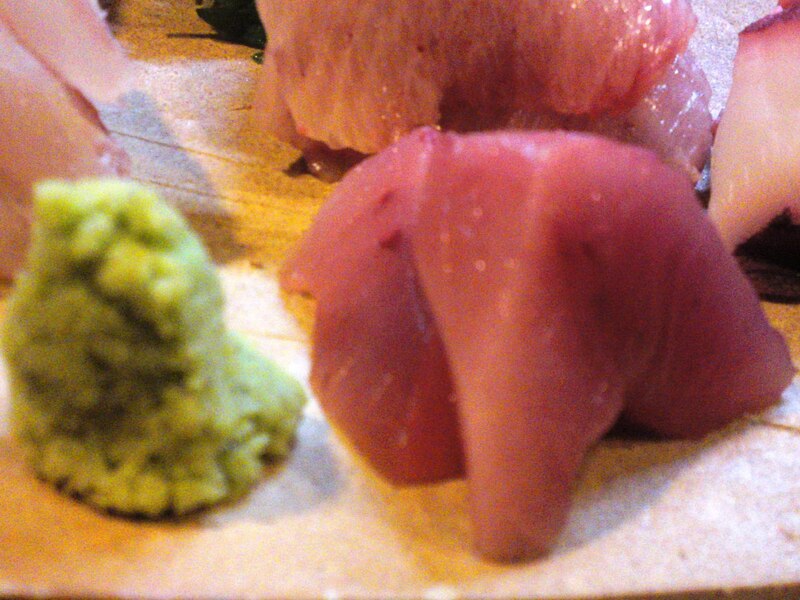 Tuna akami/lean part, seaweed jelly, buri/yellowtail, freshly grated wasabi, seaweed! 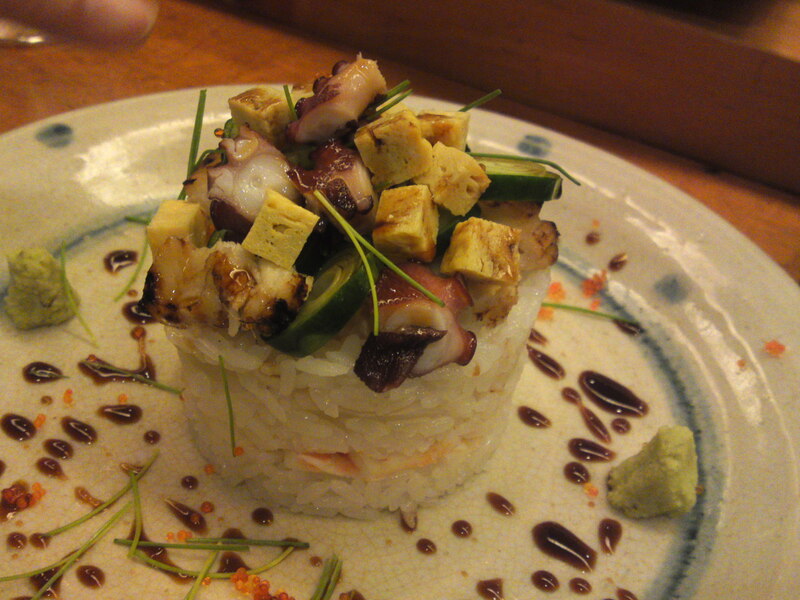 Octopus, seared tuna (tail), aori ika/bugfin reef squid, marinated mackerel! Great value for your money! 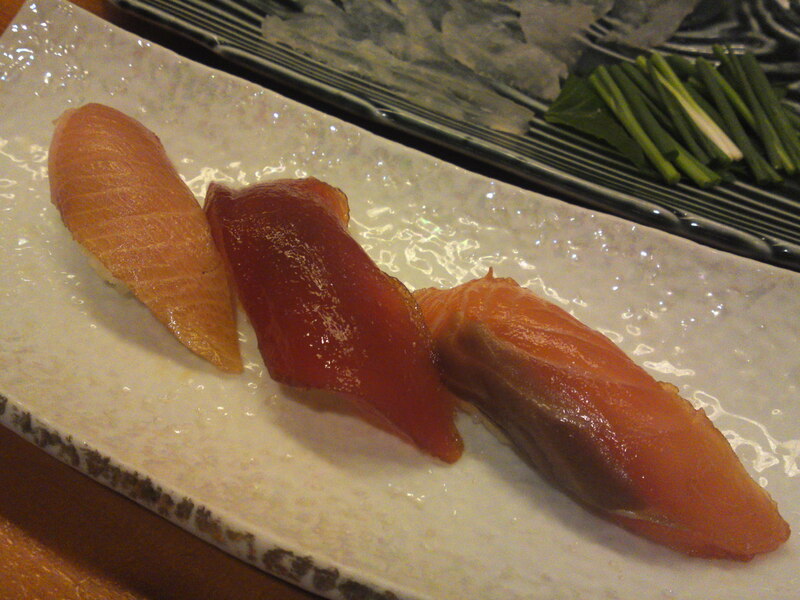 Sushi: Dinner at Sushi Ko (December 2013) in Shizuoka City! 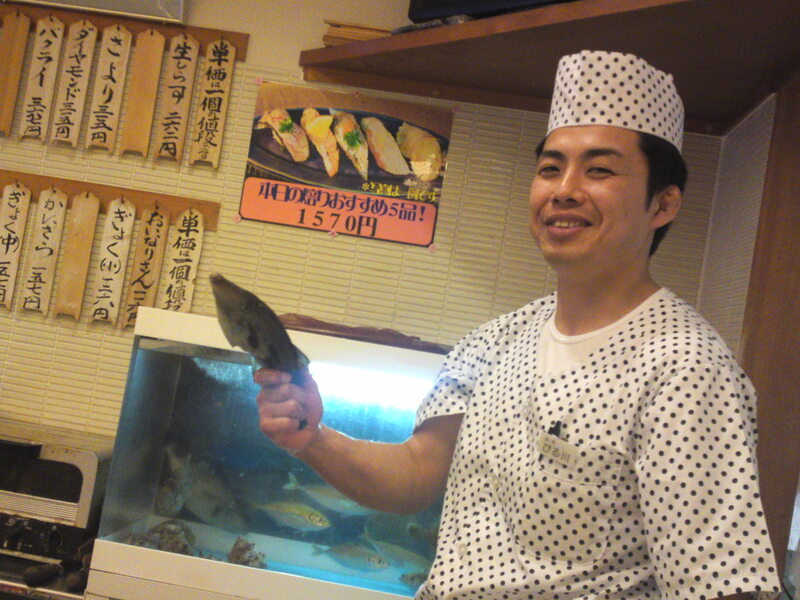 I don’t really have to introduce Sushi Ko in Aoba Street, Aoi Ku, Shizuoka City and its main chef, Chef Kenta Birukawa/尾留川健太さん! So what did we have last night? 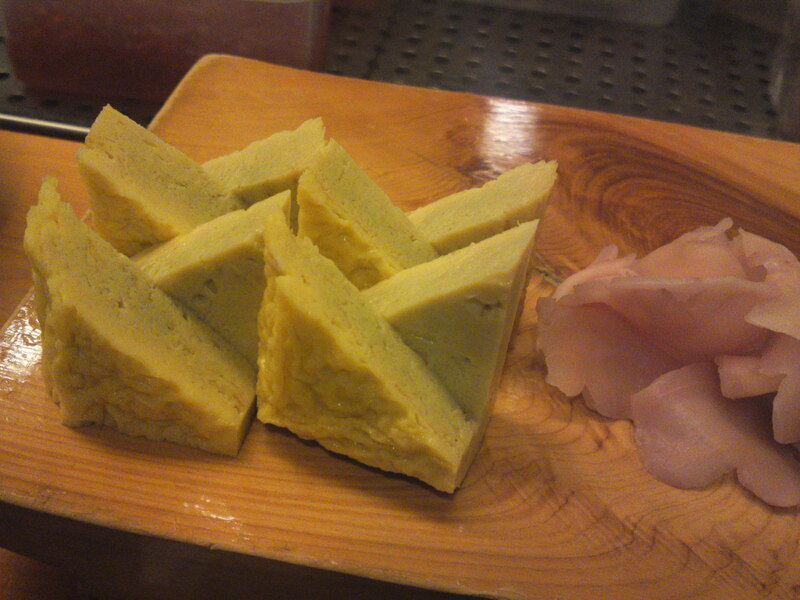 Negi toro snack to accompany the first drink! 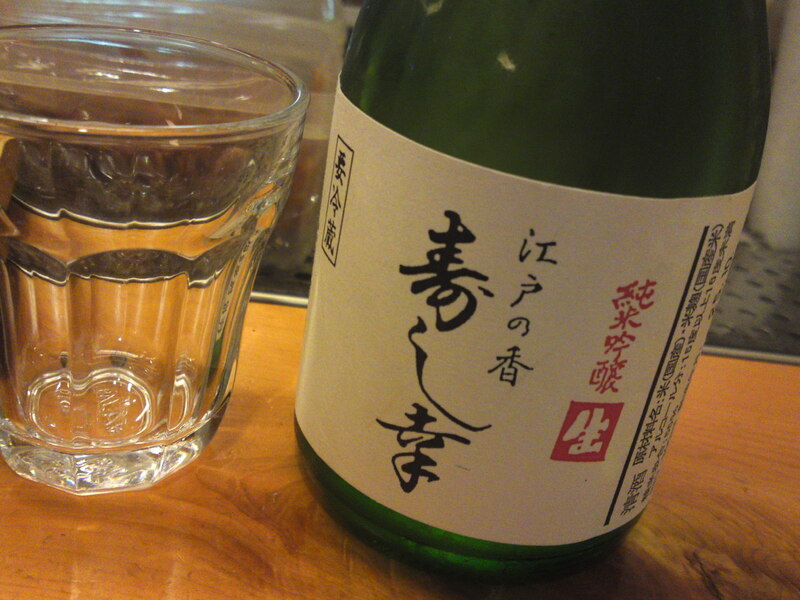 Sake brewed by Fujinishiki Brewery in Fujinomiya City: Junmai Ginjyo nama, Sushi Ko Edo no Kaori! 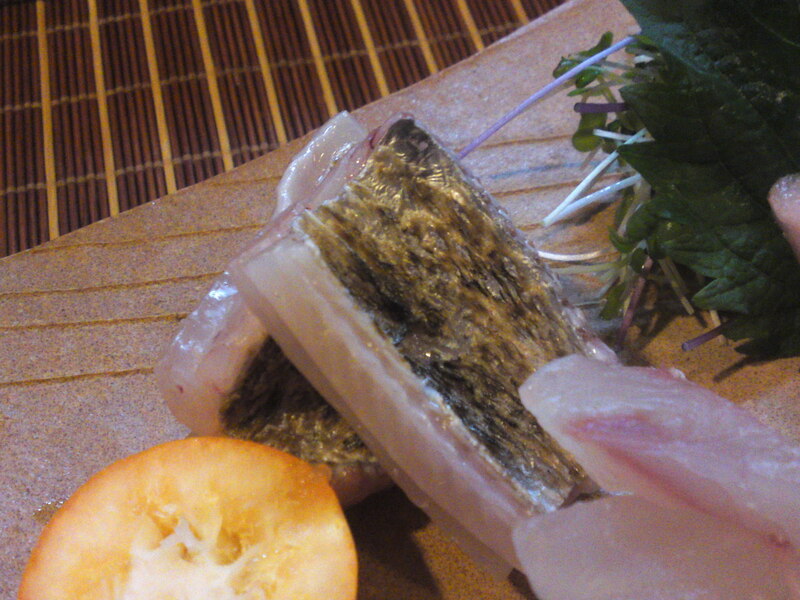 We asked Chef Kenta Birukawa/尾留川健太さん to prepare a whole filefish called Umazura/Horse Face! 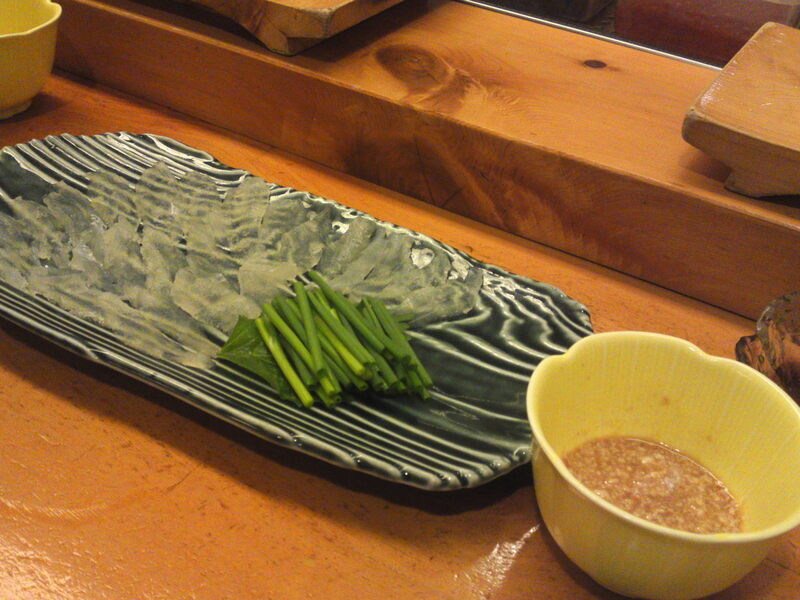 O-tsukuri-style sashimi Plate with scallion! 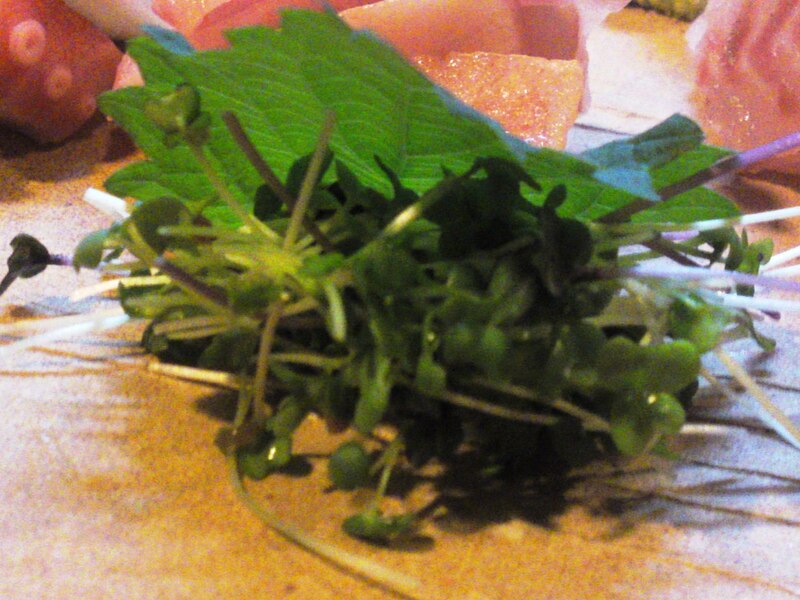 Just wrap the sashimi around the scallion! 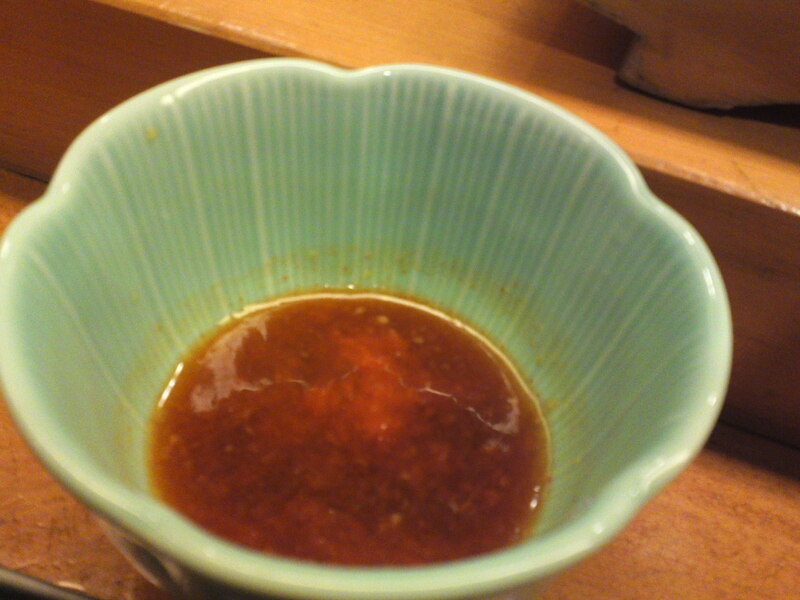 And dip them in a sauce made the live fish liver! 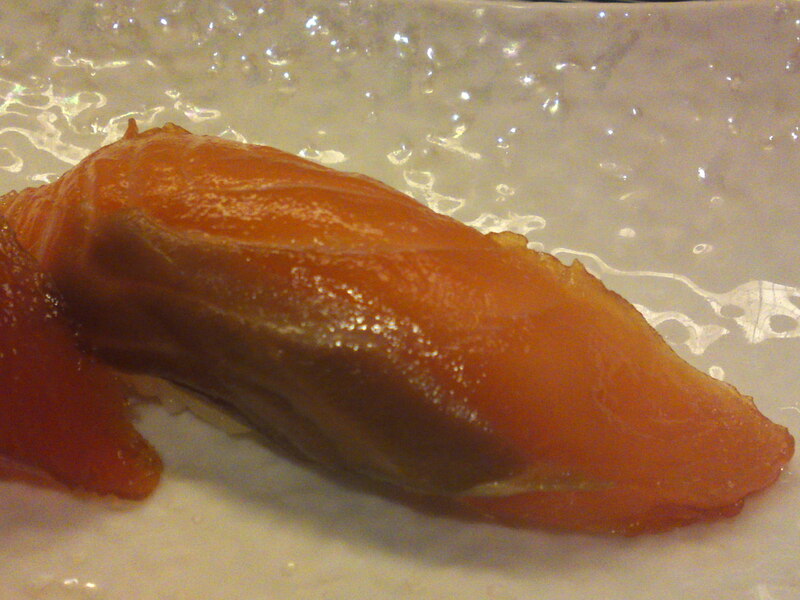 Chef Kenta Birukawa/尾留川健太さん kept some of the sashimi and liver to make those beautiful nigiri sushi! 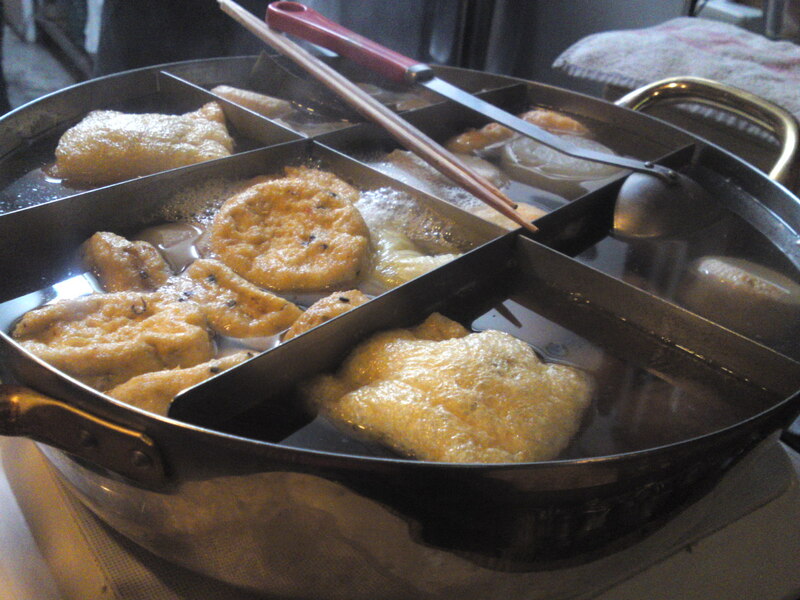 And we had the cheeks of the fish deep-fried! 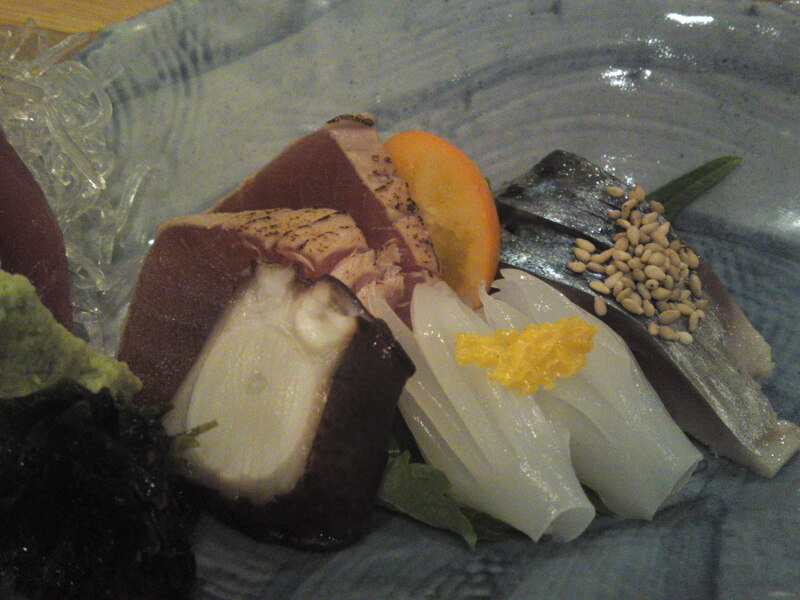 3 different fish zuke (marinated) set! 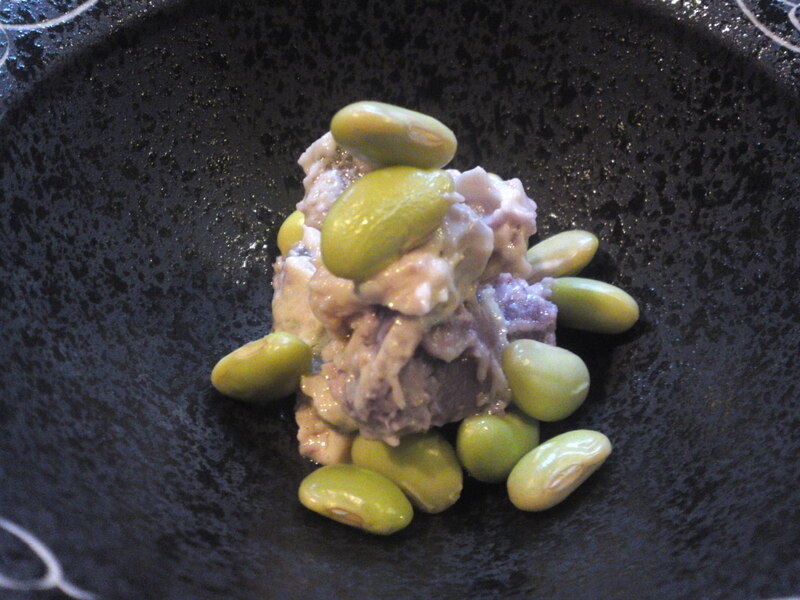 Japanese foie gras/Ankimo/Frog fish liver! 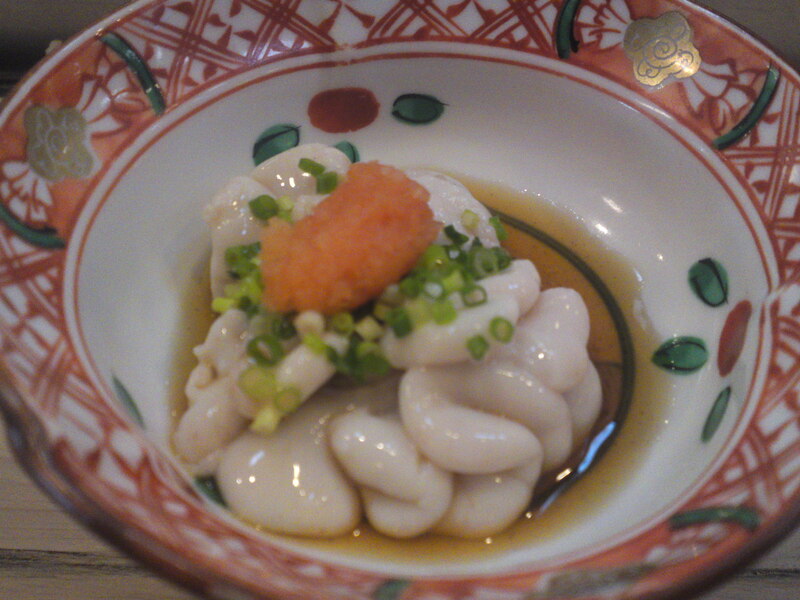 Shiokara/Pickled cuttle fish for the dragon! 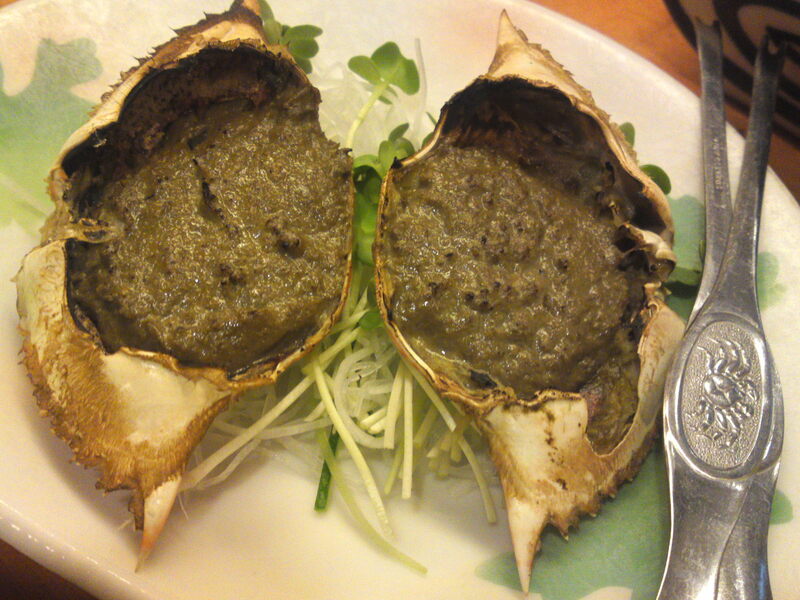 Grilled watari gani crab miso! 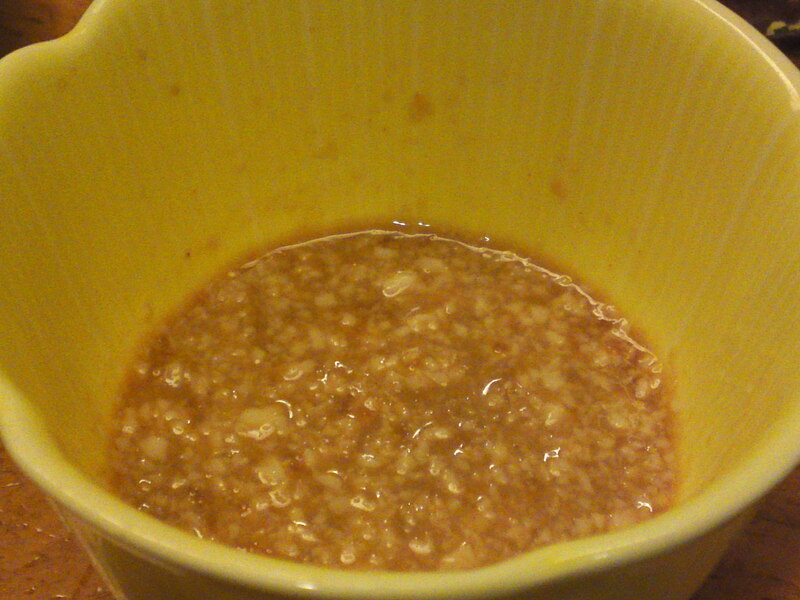 Chawan Mushi/Japanese-style steamed salted pudding! 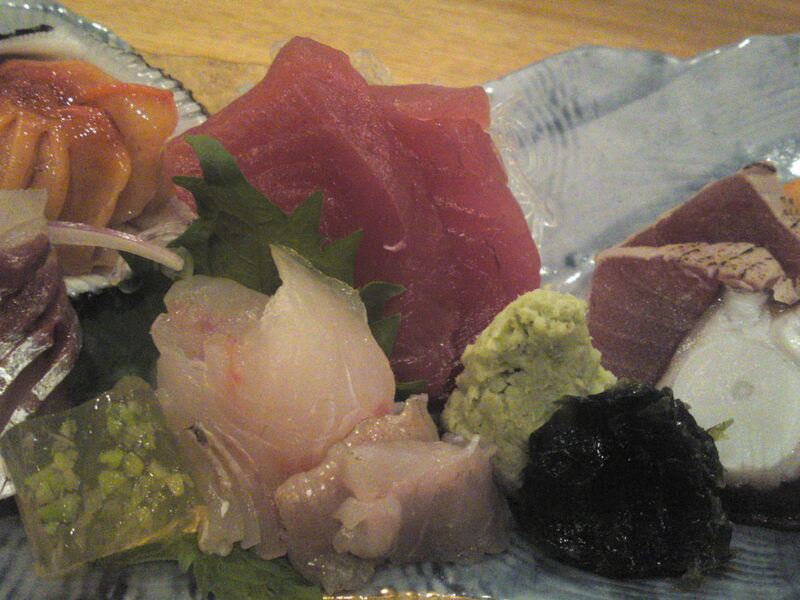 Sashimi Plate at Nishiki Izakaya in Shizuoka City! 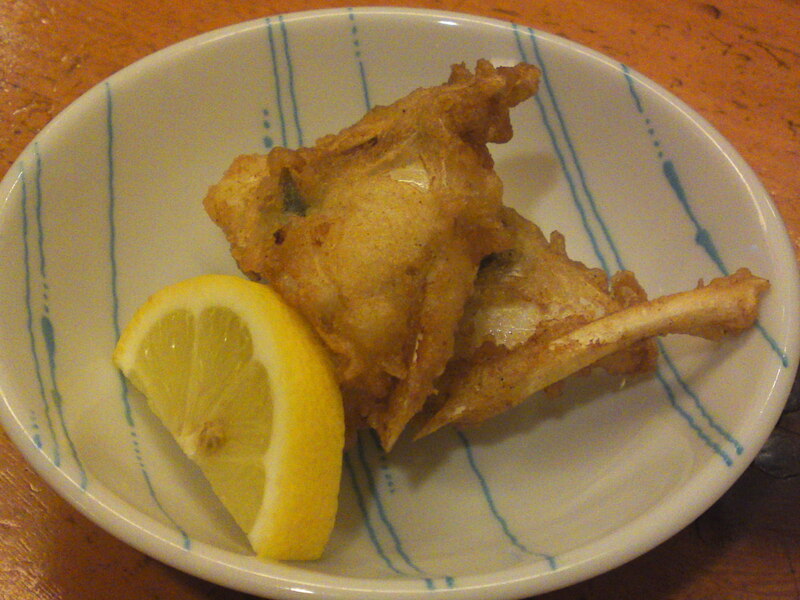 Strong points: Higher-level izakaya gastronomy. Superb fish, local for most. Great sake and shochu list. I have known Chef Yoshiyuki Nishitani for quite some time, back to the years before he decided to fly on his own wings. 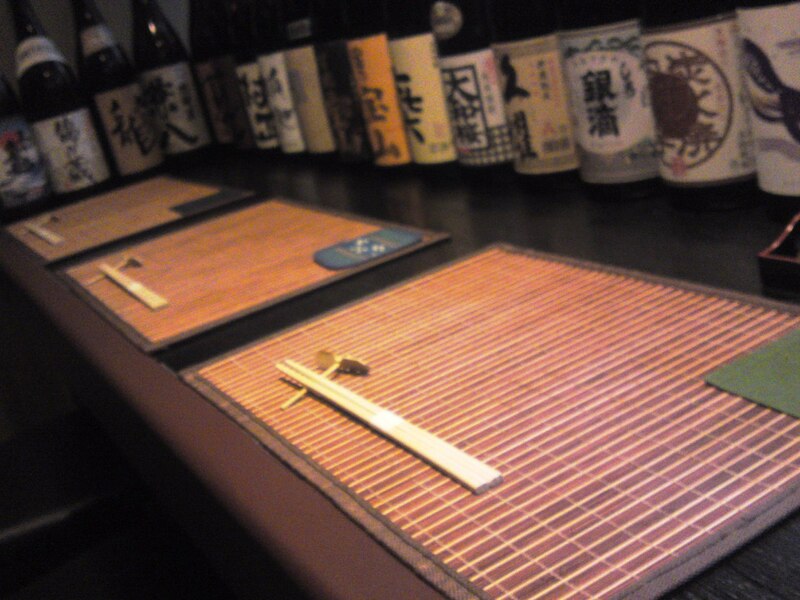 It didn’t take im much time to create himself a niche in the highly competitive izakaya scene in Shizuoka City. 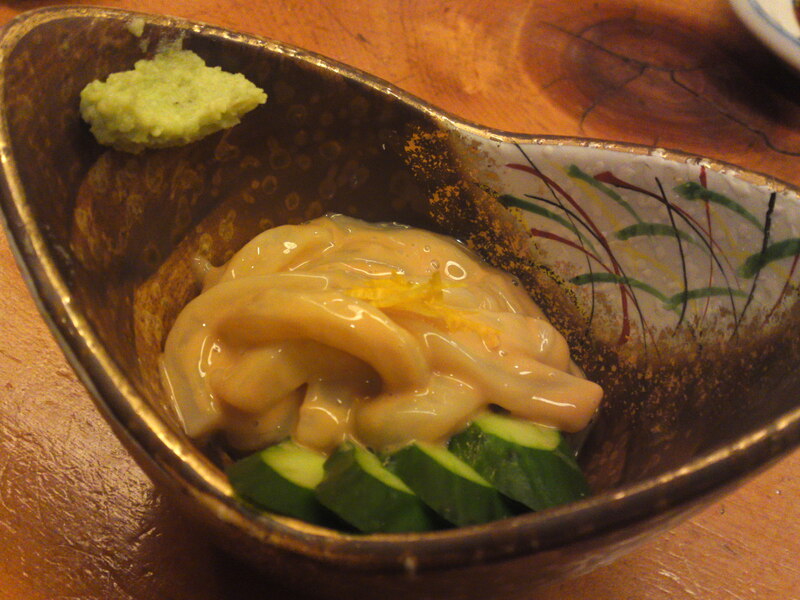 Nishiki is a little away from the nightlife hubub of Shizuoka City in Aoi Ku acoss the Showa Street and is cozy with a single long counter propitious to a rich conversation with your neighbors and the chef. 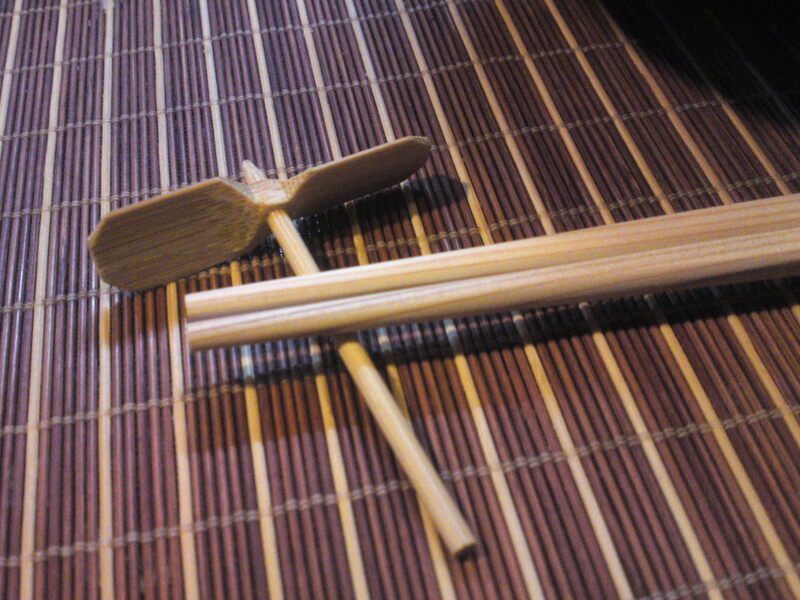 I will have to taste those Kansai-style oden next time as I had little to spare on that particular visit! There are plenty of sake at Nishiki, including local ones, so I treated myself to a small bottle of Shosetsu brewed by Kanasawagawa Brewery in Yui, Shimizu Ku, Shizuoka City! 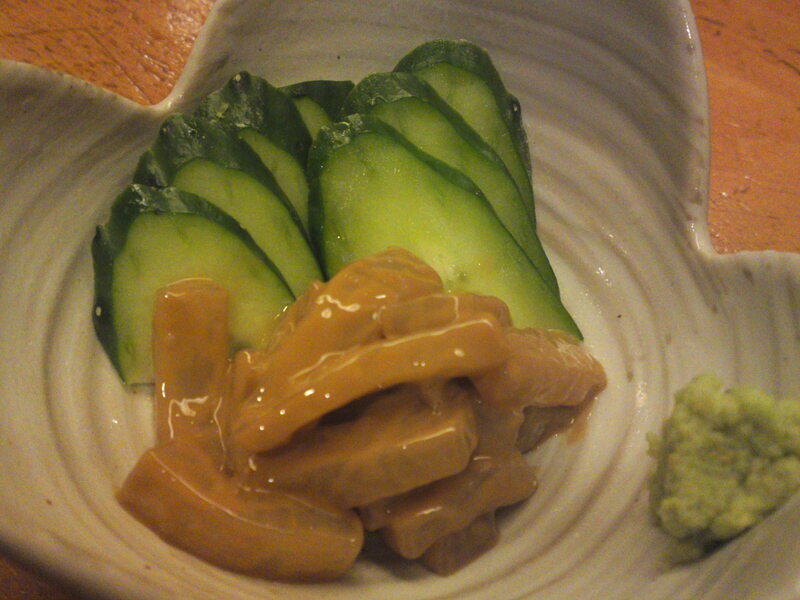 I was given a great snack of re sweet potato and edamame salad while my sashimi plate was being prepared! The little detail that makes you feel welcome! 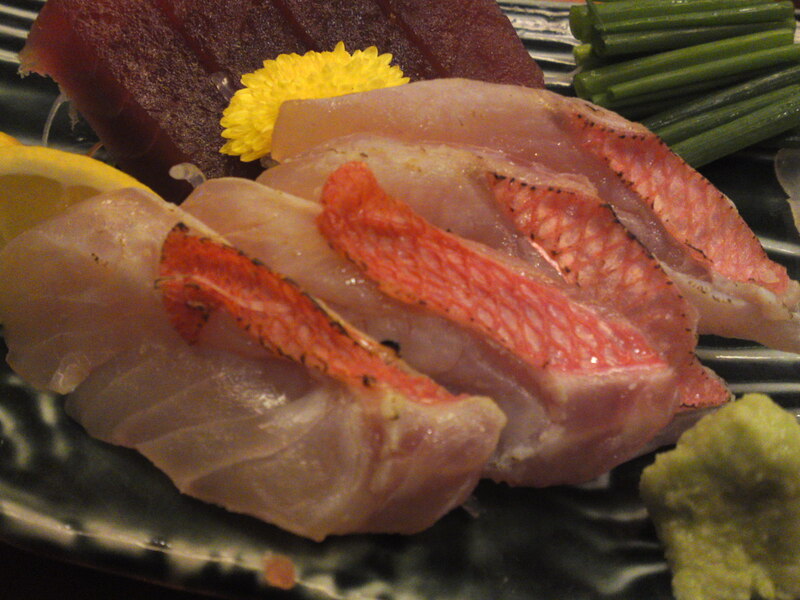 Kanburi/Winter Amberjack from Northern Kyoto, the only fish of the day not from Shizuoka! Great attention in small succulent details! 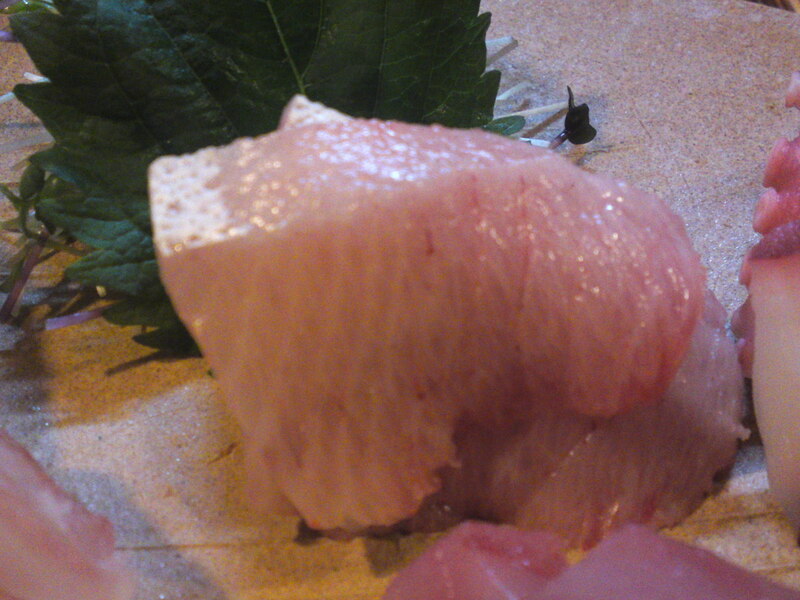 Winter Amberjack under skin toro! 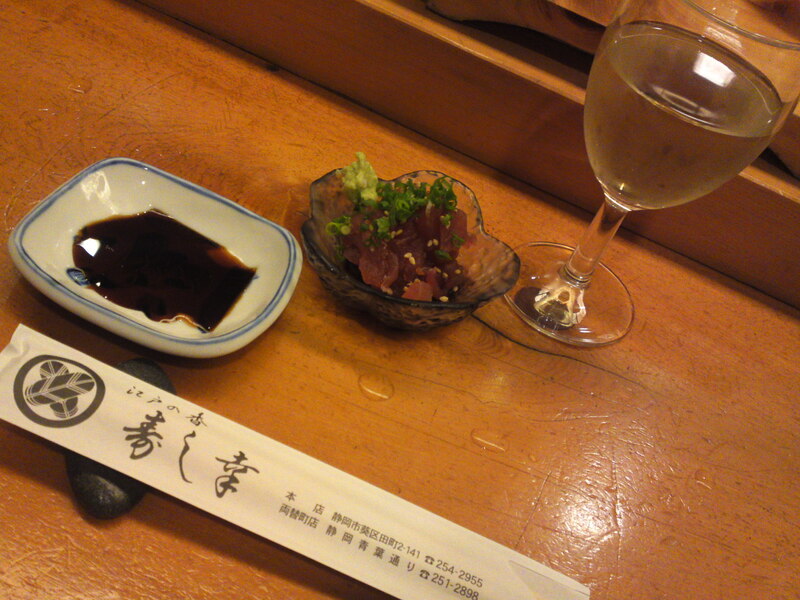 And how much did I pay for the sashimi plate, the tidbits and the sake? 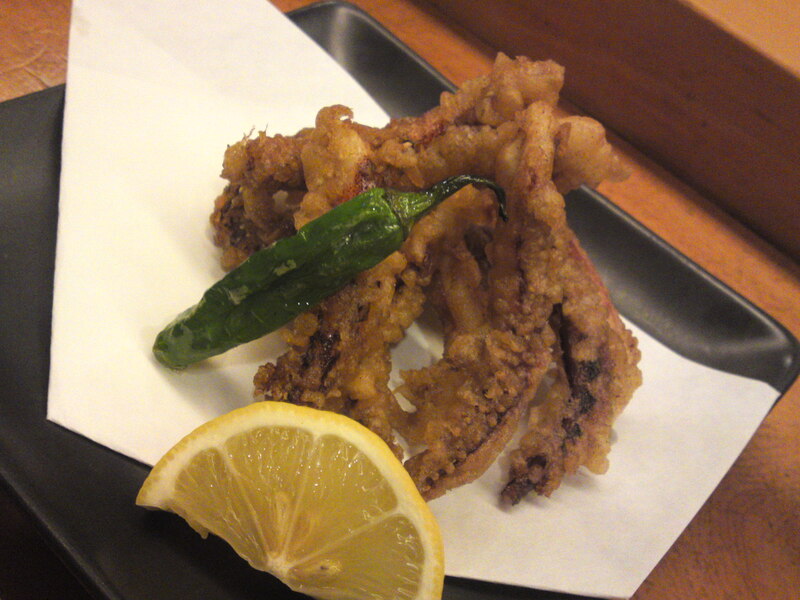 At thei level of freshness, quality and variety, izakaya and restaurants in bigger cities will be hard put to serve the same as such a reasonable price! 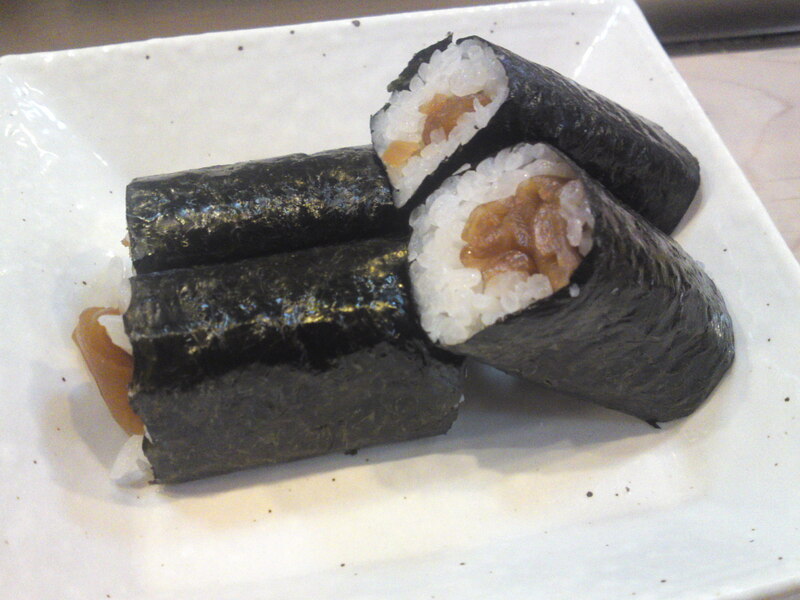 Sushi Video Report: Ekimae Matsuno Sushi in Shizuoka City! 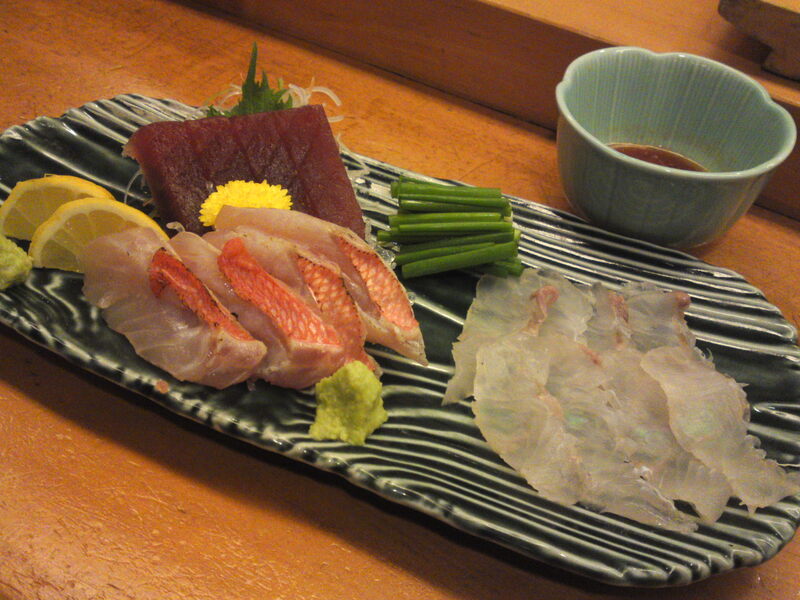 We here in Shizuoka are not The True World Foods or Tsukiji! Mr. Andrea Petrini, can you hear me? Ou m’entendez-vous? 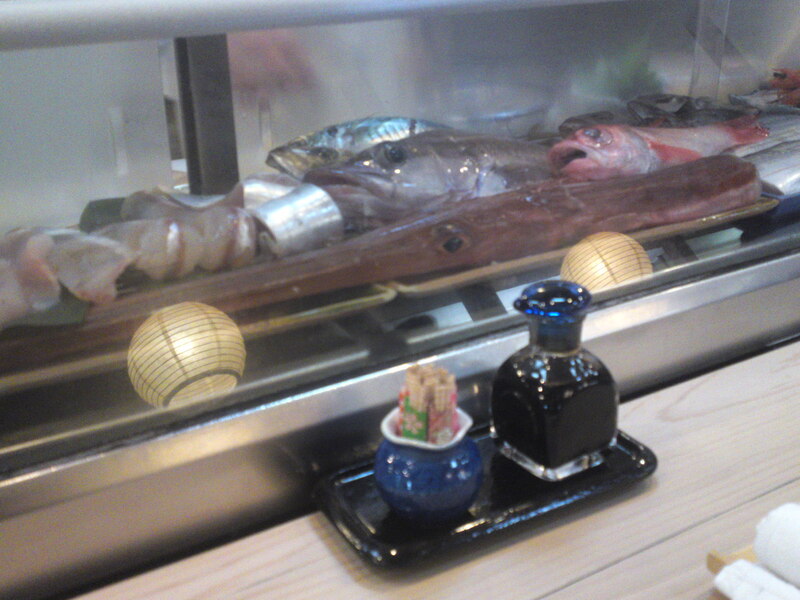 Showing the sake and display window. In shizuoka one does not need spend untold amounts of money or eat cheap sushi at crowded places to savor truly local, hyper fresh sea products and this accompanied by some of the rarest and best sake in Japan. 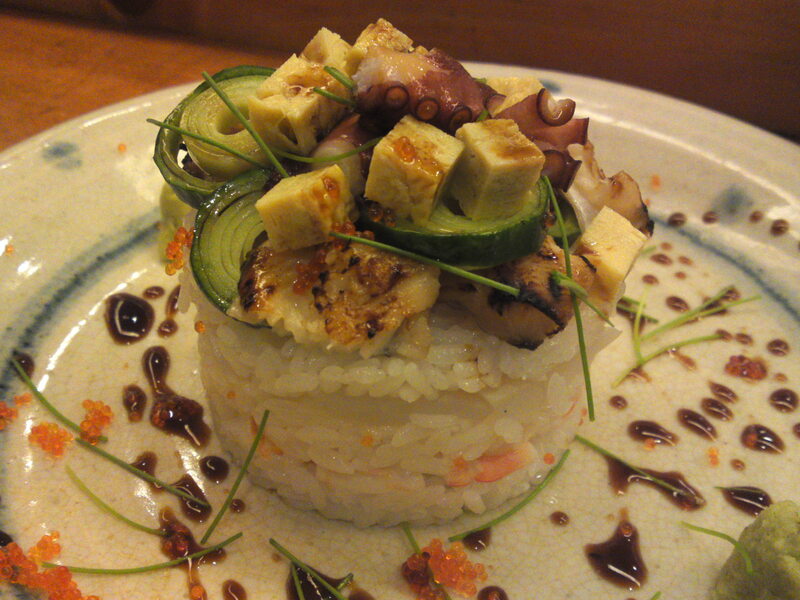 just get off Shizuoka JR Station from the north exit and you will find Ekimae Matsuno Sushi Restaurant just beyond Matsuzakaya Department Store on your left hand side. This venerable institution has been standing on the same spot since well before the WWII and has always boasted more local fish served than anywhere else. 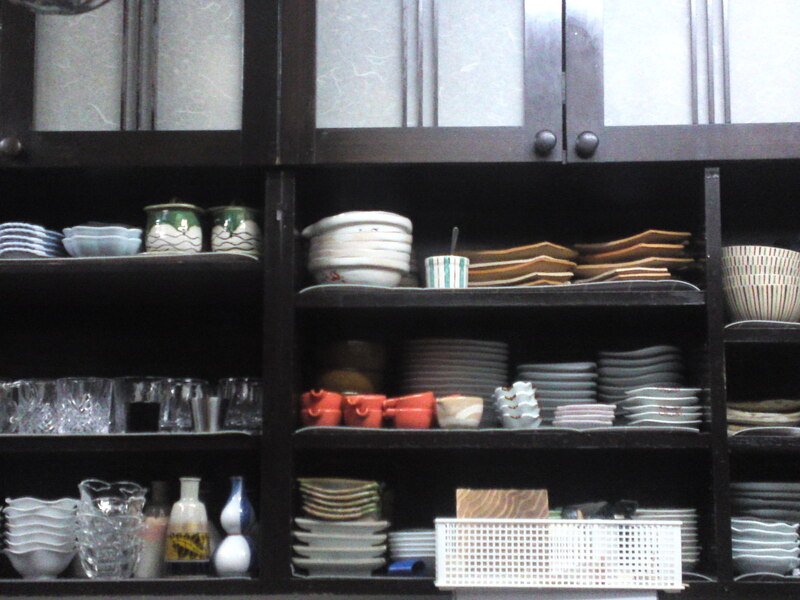 It does not need to show off or take grand airs but still has the courage to declare the restaurant as a non-smoking haven! 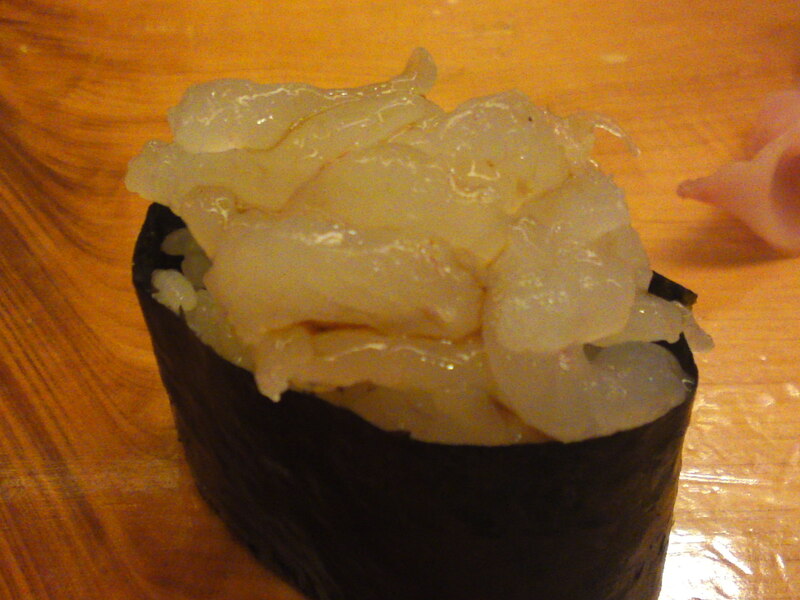 For once this shirako/白子/male cod sperm/milt sacs were not from Shizuoka but all the other fish I sampled were! 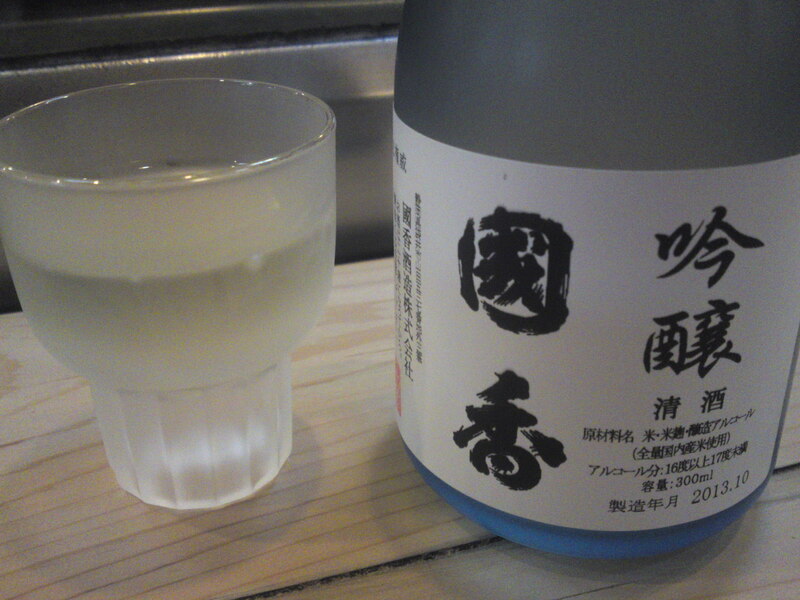 At 16~17 degrees it is a ginjo genshu bottled in October 2013. V\beautiful nuttey taste withhints of dark chocolate and coffee beans! 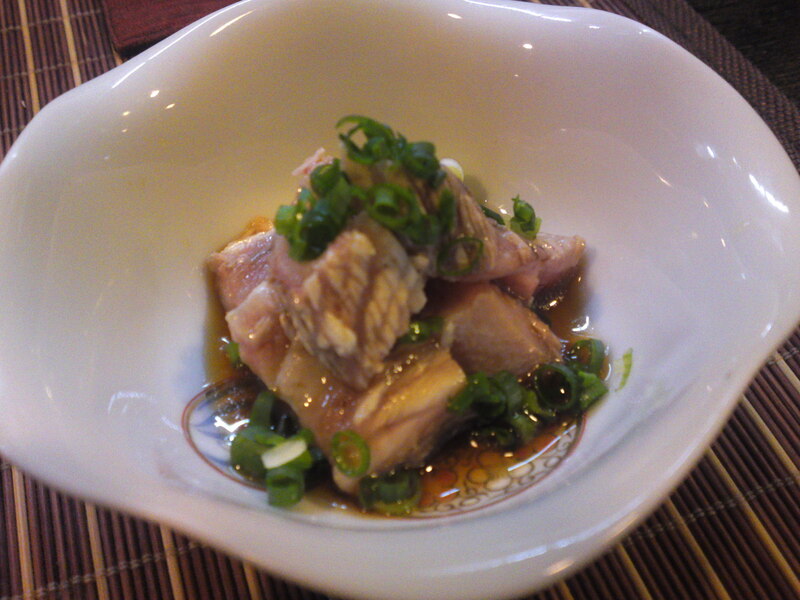 –Seared Scabbard Fish/Tachiuo aburi/太刀魚炙り (also called Largehead hairtail or Cutlass Fish. 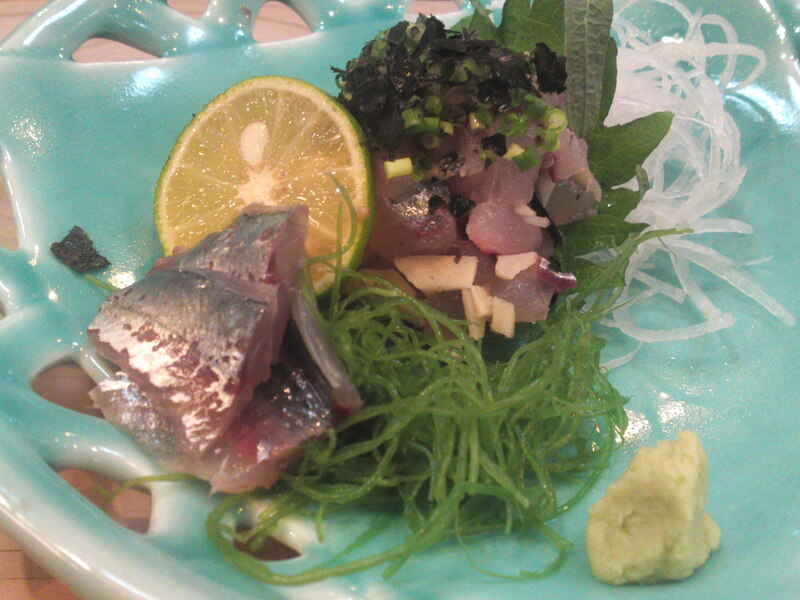 The next sashimi plate was Ｍuro Ａji/Bleeker/ムロアジ, a variety of Horse Mackerel! 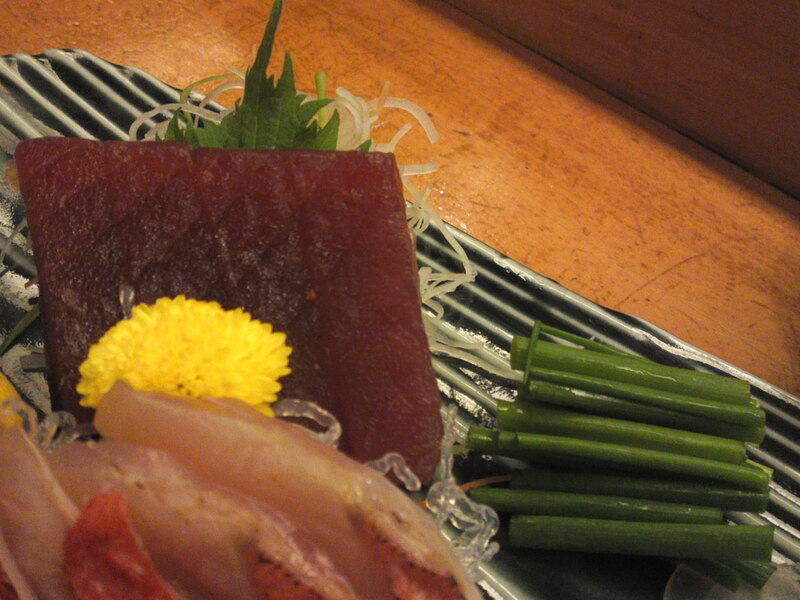 It was serve both as normal sashimi and tataki/Japanese tartare! The Master of the House at work! 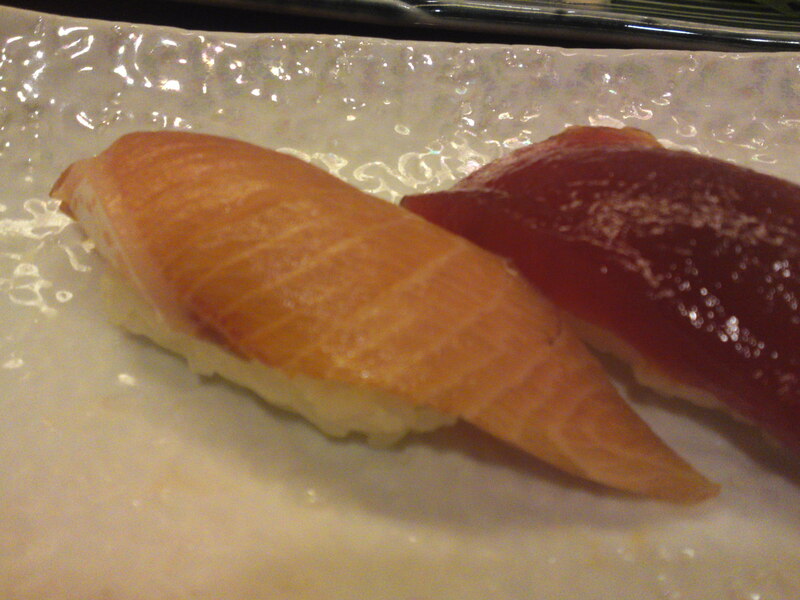 The nigiri sushi and dessert! 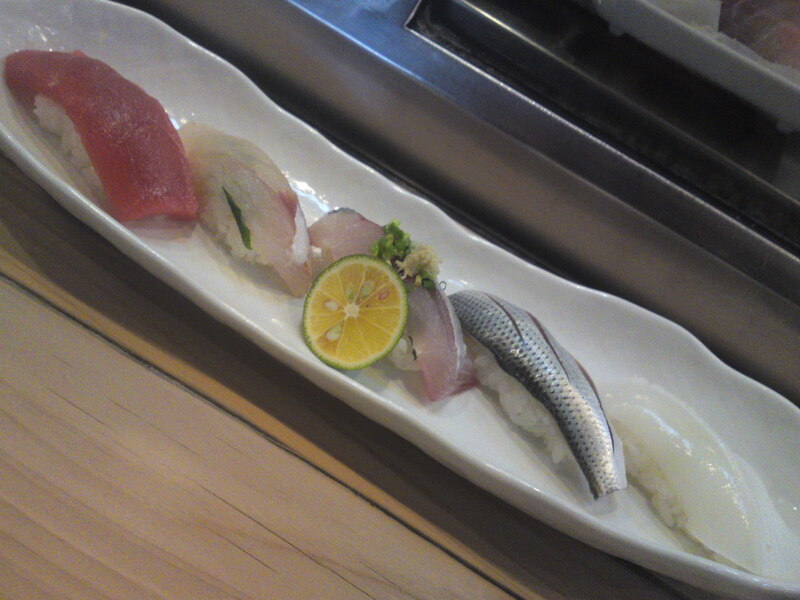 Then it was the turn of nigiri sushi! 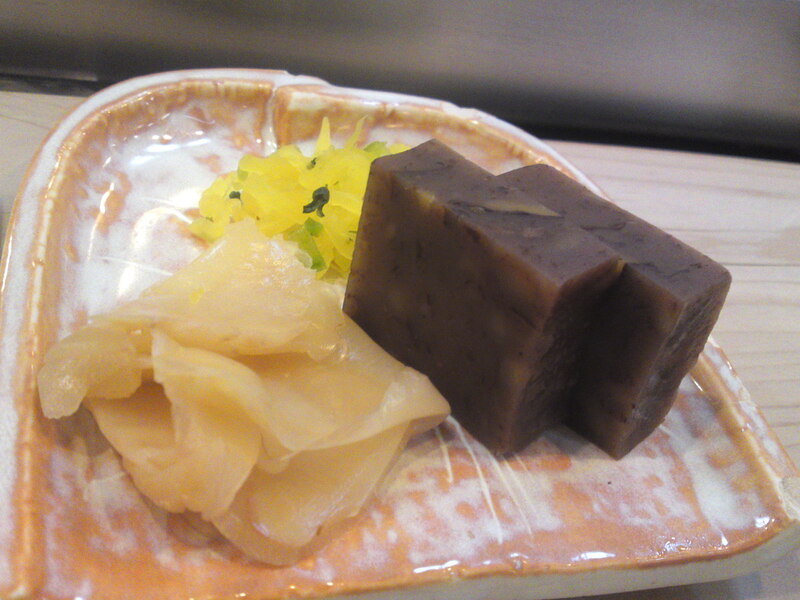 Home-made chestnuts yokan/Japanese jelly, marinated ginger and finely chopped takuan/pickled Japanese daikon! The maki/sushi rolls to finish! 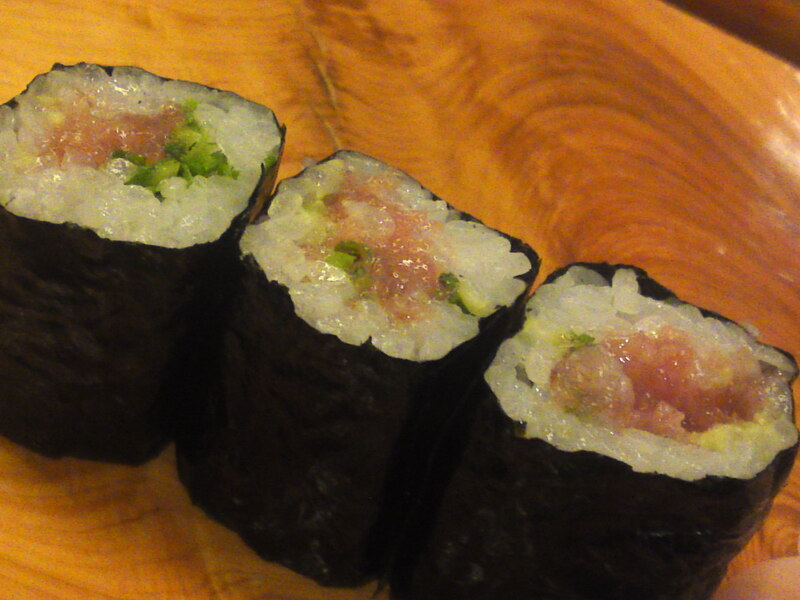 Negitoro Maki/ネギトロ巻/Scraped tuna with chopped scallions! 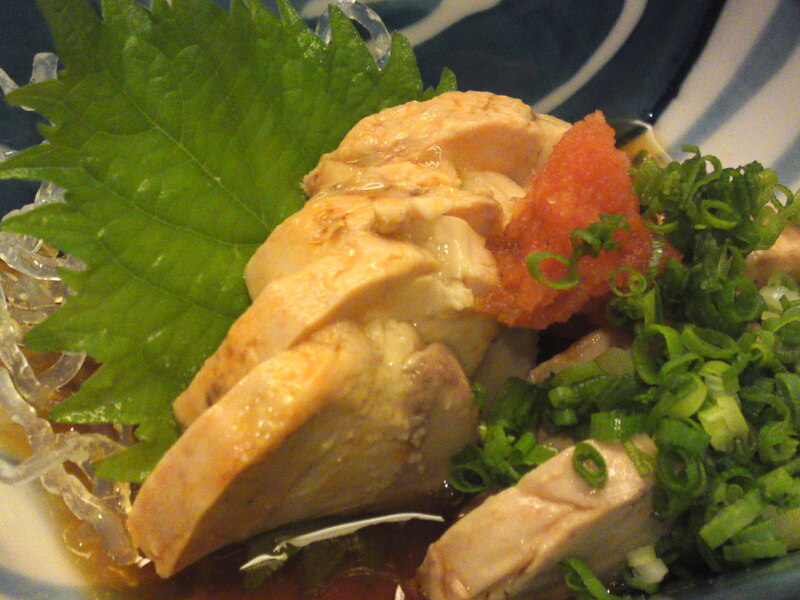 Why may Shizuoka people be justified in assuming they eat some of the best in Japan? 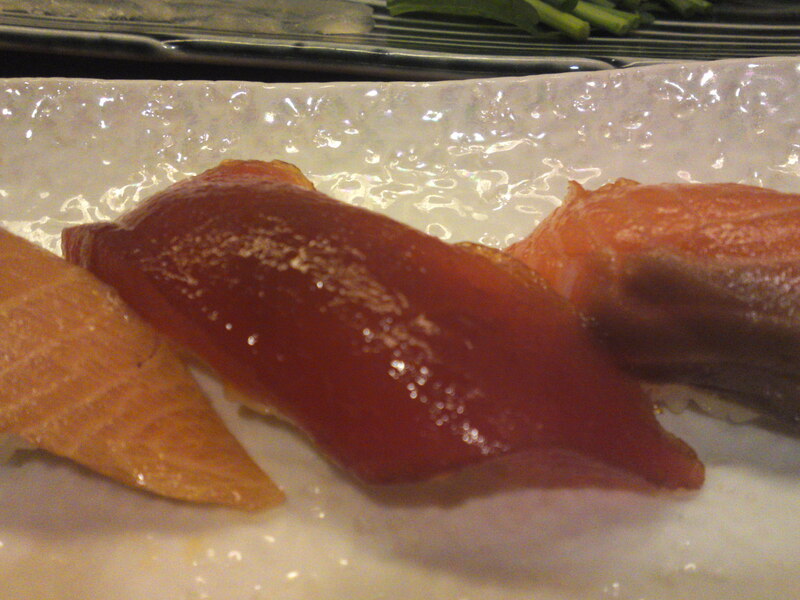 Foodbuzz 24, 24, 24: 24 sashimi & 24 sushi in Wasabi Land! 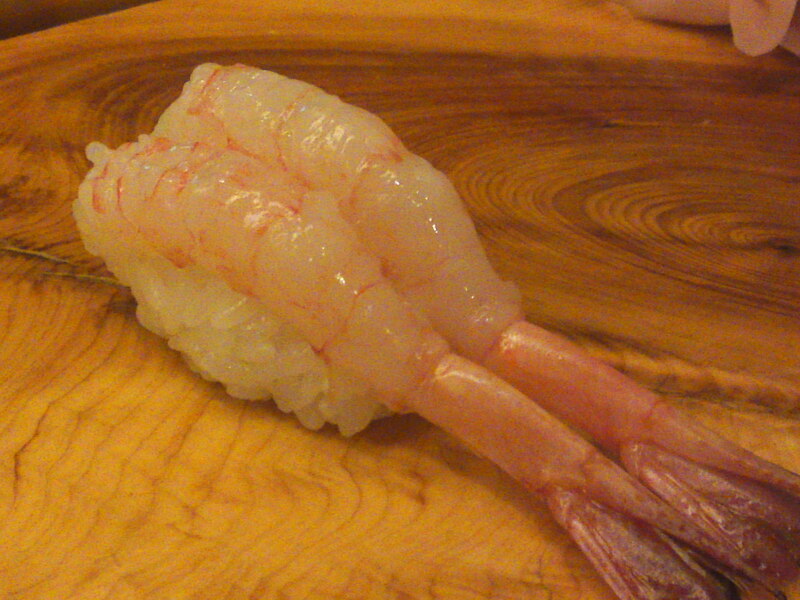 Local Sushi & Sashimi only at Ginta! Best Sushi in Bucks County, PA, USA! 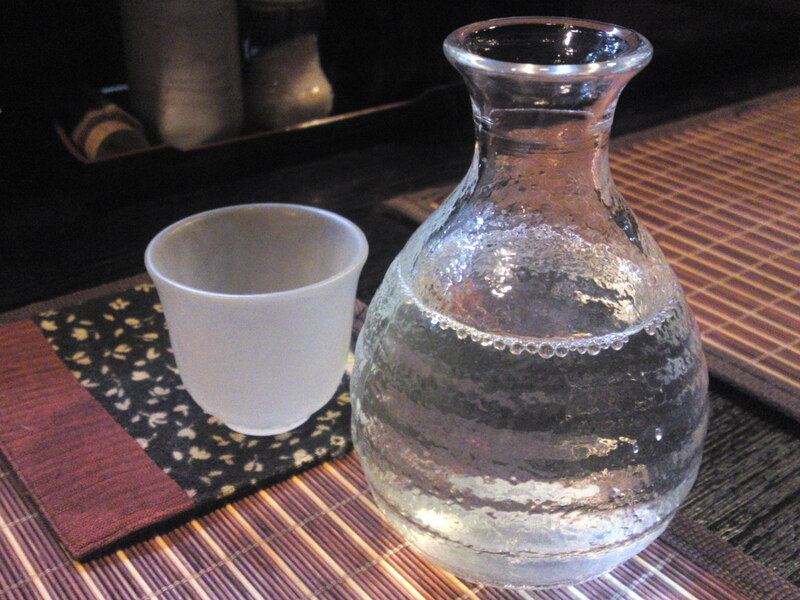 Shizuoka Sake: The Jewel of Japan!